Nextdoor is the free and private social network for neighborhoods. Using Nextdoor’s platform, available on the Web and mobile devices, neighbors create private neighborhood websites where they get to know one another, ask questions, exchange local advice and recommendations, and organize virtual neighborhood watches to reduce crime. More than 90,000 neighborhoods across the country, representing over 50% of U.S. neighborhoods, are using Nextdoor to build happier and safer places to call home. It has taken another step up in its global growth, after launching in the Netherlands and the UK last year. In June, the company opened for business in Germany, the largest internet market in Europe. The move comes as Nextdoor says it is now used in 160,000 neighborhoods across the US, UK and Netherlands, with about 145,000 of those in its home market of the US, and the company continues to grow at a steady pace. “We are growing 100 percent year over year have done that since inception,” said co-founder and CEO Nirav Tolia. This works out to adding around 100 new neighborhoods every day. In the US, Nextdoor is in 75 percent of all U.S. neighborhoods, and since launching in the Netherlands last year, it’s in 50 percent of neighborhoods, while in the UK — where the company got a leg up when it acquired a local competitor Streetlife — Nextdoor is in 40 percent of neighborhoods. This is solid growth, and Nextdoor is using the scale to start to introduce ads — before last year the service was essentially free of any monetization — and to step up its growth outside of its core market. The company has now raised around $210 million in funding and was last valued at $1.1 billion. Tolia said that most of its last round — $110 million raised in 2015 — is still in the bank. He added that there may be more funding efforts soon as the company sets its sights on opening for business in Asia and Latin America. In its bid to be the go-to place online for people who want to link up with their communities for local discussions, selling and buying things, and more, Nextdoor competes with a sizeable range of other entities that include Facebook’s Groups, Craigslist and homegrown forums. The security and privacy elements are interesting aspects of the service when you consider the problems that Facebook has had specifically in Germany but across other parts of Europe, especially in relation to privacy and data protection issues and claims that these are not safeguarded well enough. If Nextdoor plays its cards right, its place as the “anti-Facebook” could see it getting some stronger attention in its newest market. Nextdoor has garnered the reputation as the equivalent of an online “neighborhood watch” noticeboard. Nextdoor also gives users guidelines on what they can post on the site, with a push for people to be civil and not self-promote. It will be interesting to see how those lines evolve — or alternatively, remain steady — as more commercialization takes hold. Click HERE to join in Nextdoor in your neighborhood! A Rare Find! 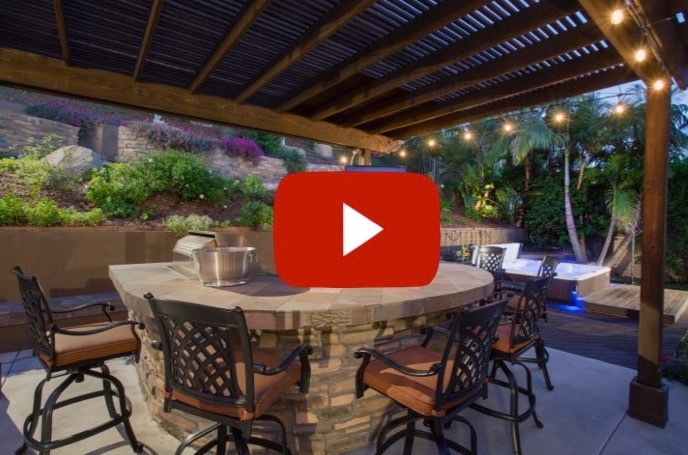 Amazing Entertainer’s Backyard Oasis & Westerly Views!! 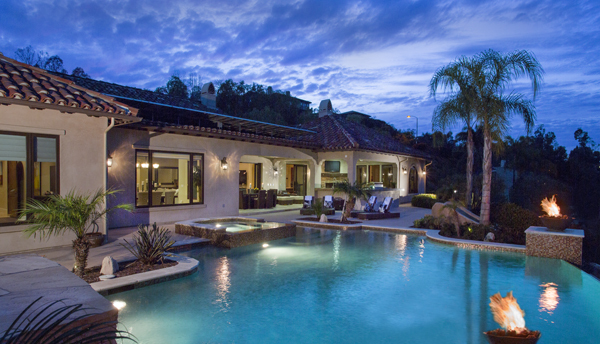 Step into your private slice of paradise on one of the largest lots in La Costa Oaks, boasting over 16,000 sq ft! Perched on a sprawling bluff, the backyard is the ultimate tropical resort experience with a saltwater, solar-heated pool and spa, outdoor kitchen, sheer-descent waterfall, and view of the ocean. Imagine how your family and friends will be dazzled by the glorious sunsets and twinkling lights! Classic and timeless, no detail has been overlooked in the finely upgraded custom finishes, travertine tiles, solid walnut hardwood flooring, and intricate wrought iron staircase. Soaking up sun-filled views of the backyard from the living and dining rooms, kitchen, and family room, the first level is light and airy. An ensuite bedroom and spacious, executive office complete the downstairs. Ideal for entertaining, the huge gourmet, eat-in kitchen features stainless steel Thermador and GE Monogram appliances, granite countertops, large island and breakfast bar, and pantry. 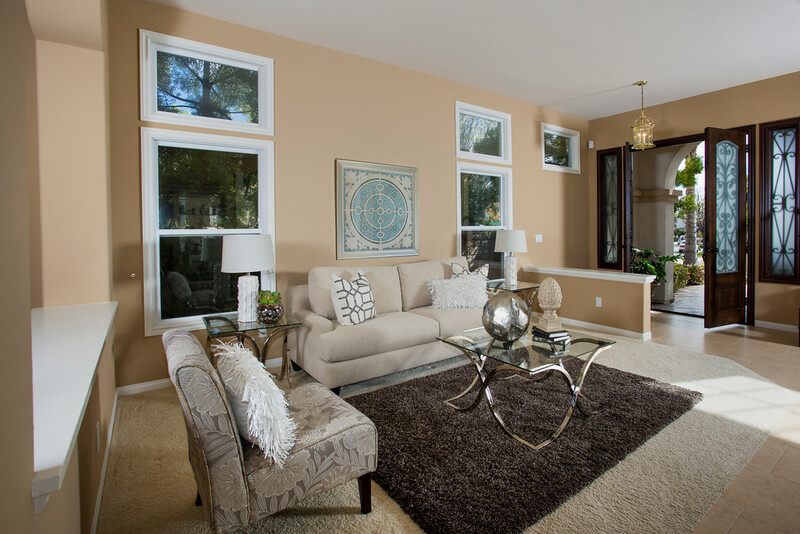 The family room flows directly from the kitchen and leads to your backyard oasis. The romantic master bedroom retreat features a fireplace and relaxing sitting area that opens to a charming balcony overlooking the backyard and ocean. 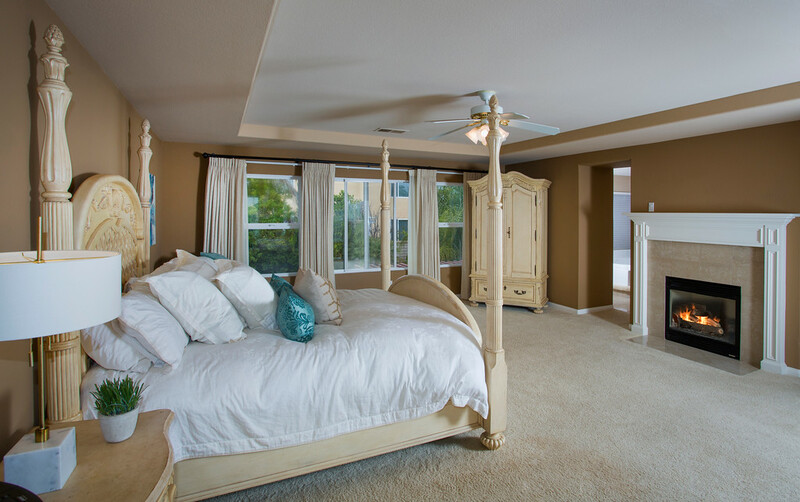 All bedrooms are ensuite with built-in closets and ceiling fans. More high-end amenities include a custom home automation system, built-in entertainment system, and spacious 4-car garage. BREATHTAKING OCEAN VIEWS FROM BOTH LEVELS! Beautifully upgraded estate home with 2 bedrooms downstairs and an additional multi-use room on the 1st level with its own entrance. 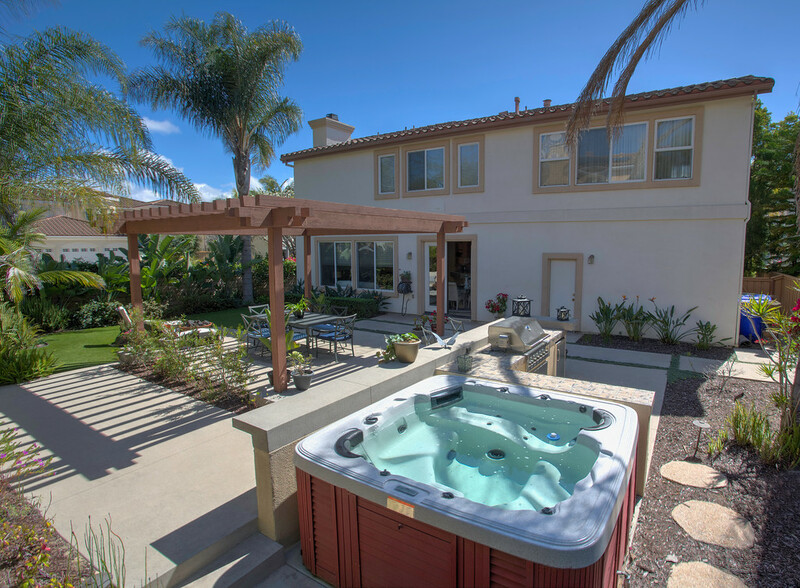 Backyard oasis offers solar pool/spa/slide, firepit, and barbecue along with spectacular, unobstructed ocean views! Upstairs are 3 additional bedrooms, including a majestic master retreat with a balcony that extends along the upper level to enjoy the ocean night and day. No HOA fees. Many, many luxury upgrades. The largest display in the county! 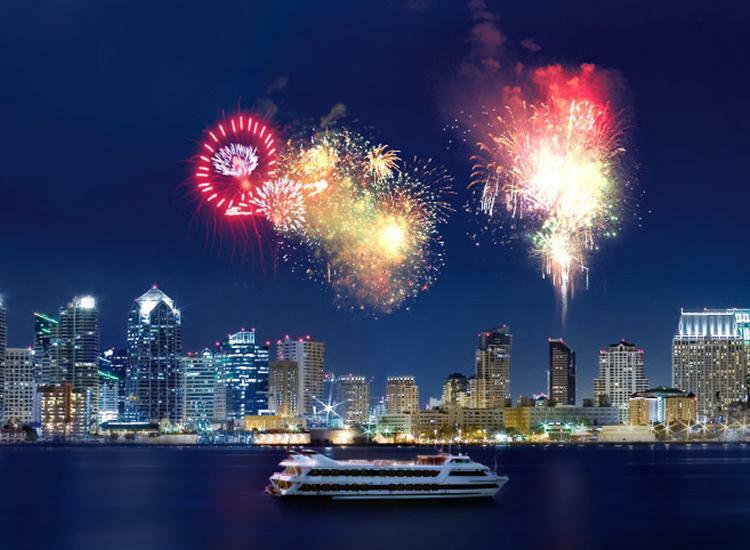 With fireworks launched from four barges strategically placed around North San Diego Bay, they can be seen from Shelter Island, Harbor Island, the Embarcadero area and Seaport Village/Coronado Landing, and the score is simulcast live on THE MIGHTY 1090 AM and MAX FM 105.7. 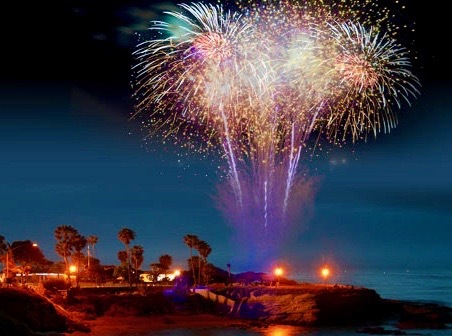 SeaWorld will celebrate Independence Day with a 15-minute display of fireworks set to a musical soundtrack, starting at 9:40 PM on July 4. 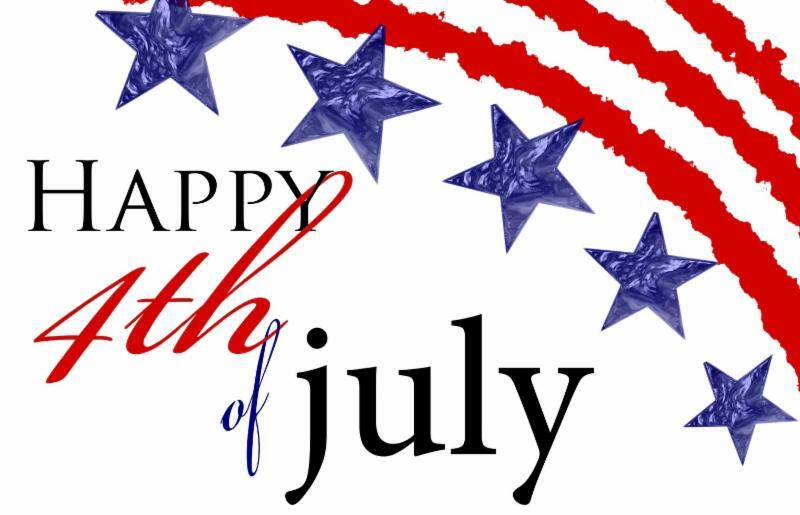 Park hours on the Fourth will be 10 AM to 11 PM. 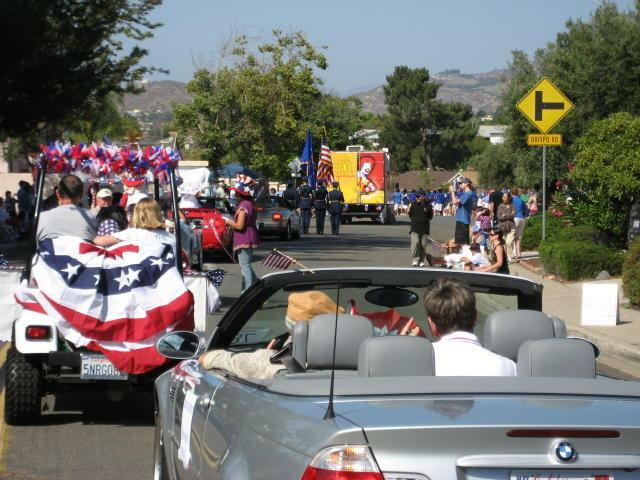 It’s a whole day of fun at Webb Park in Rancho Bernardo with a Community Fair featuring food, music, Patriotic Pet Contest, classic cars, games and a parade (9:00 AM to 5:00 PM). End the evening with fireworks at Bernardo Heights Middle School. Every man needs a castle! contact Patty to learn more about buying in San Diego. Expansive view of Lomas Santa Fe Golf course | 1,904 sq. ft. The recent lack of inventory available for sale is what is holding back the market. Many potential sellers believe that waiting until spring is in their best interest, and traditionally they would have been right. However, demand for housing has remained strong as mortgage rates have remained near historic lows. to market in the next few months. The San Diego Association of Realtors, in partnership with the Union Tribune, has announced the recipients of the 2016 Recognition of Excellence. Patty has been named a “SILVER” award winner for an outstanding year in sales! The Real Estate Circle of Excellence highlights exceptional individuals in the San Diego County real estate industry. Real estate agents are honored by their peers for their excellence standards and efforts they have demonstrated in the past year. The secret to Patty’s success is her proven business plan for selling homes! If you’re looking to buy, Patty will get you the home of your dreams! Make an appointment for a professional consultation today: 619.987.7289 or patty.contreras@sothebysrealty.com. 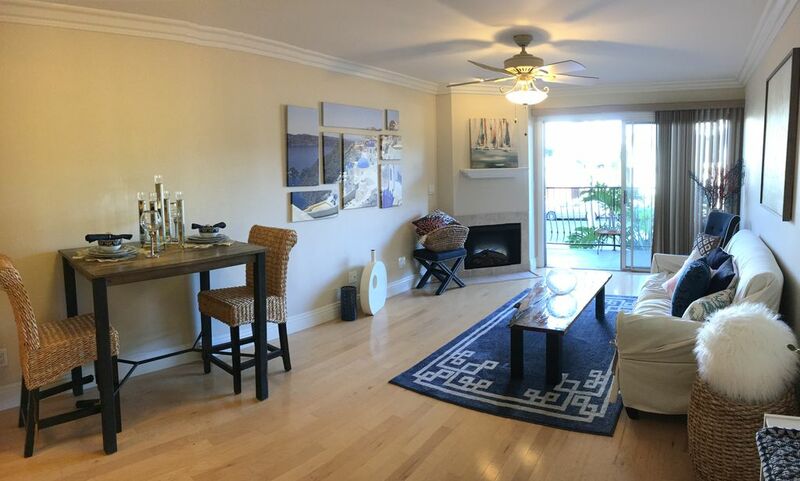 Turnkey condo in the heart of trendy Hillcrest. Quiet unit with gated, underground parking. Community pool, gym and bike room. Perfect for first-time home ownership! 1 bed | 1 bath| 641 sq. ft.
Click the photo to view Patty’s sales in 2016. Saturday, December 10th | 10:00 a.m. – 1:00 p.m.
Sunday, December 11th | 1:00-4:00 p.m. Impressive Steeplechase Plan 2 in prestigious Carmel Country Highlands. Excellent curb appeal on a beautiful corner lot. Sold in 3 days with multiple offers and over asking price!! At this special time, I want to express my deepest appreciation for placing your confidence in me, and supporting my real estate business with your friendship and referrals. As a token of my appreciation to my clients, I am sharing my A-list of vendors and service providers. Click on this link for access: Patty’s-A-List-2016. I hope that this list will make your next home improvement project a little easier. Patty has recently been profiled by Pacific Sotheby’s International Realty as a TOP PRODUCER because of her impressive growth since joining the company. 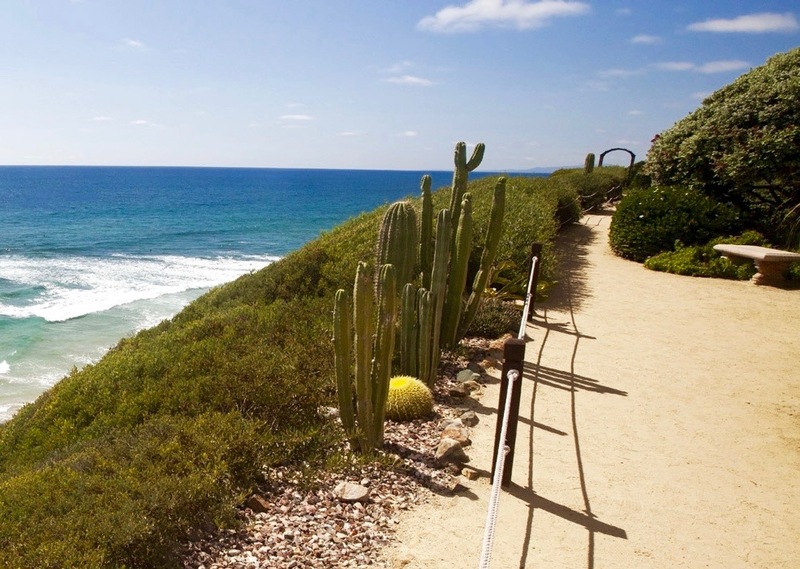 Pacific Sotheby’s has over 500 agents in 22 offices in San Diego County. 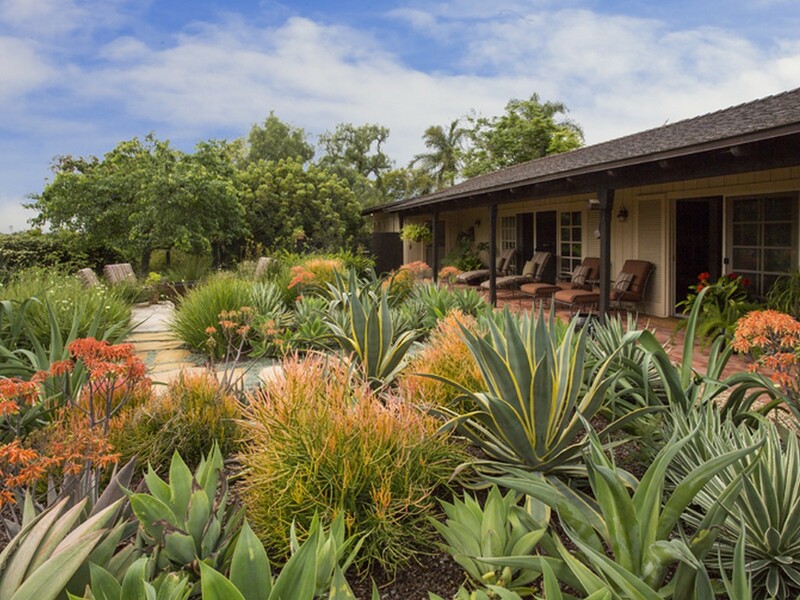 During this calendar year, Patty has recorded the highest sale price per square foot on her listings in Rancho Santa Fe, Carmel Valley and The Trails in Rancho Bernardo. In 2016, 7 of her 8 listings sold AT or OVER the asking price! Learn the Secrets to Patty’s Winning Strategy! WHEN YOU LIST WITH PATTY, GET READY TO MOVE! Presenting excellent curb appeal on a beautiful and quiet corner lot, this lovely Steeplechase Plan 2 impresses with 5 bedrooms and 3 full bathrooms in an open floor plan, including a first-level bed/bath and laundry room leading to a 3-car garage. The inviting entry opens to the formal living and dining rooms. The spacious kitchen features a center island, breakfast nook, and pantry. The kitchen leads to a large family room with a gas burning fireplace & views of the charming garden. The pool-size backyard has a cozy patio, lush lawn, and mature trees for privacy, and is the perfect canvas for a transformation into a tropical paradise. 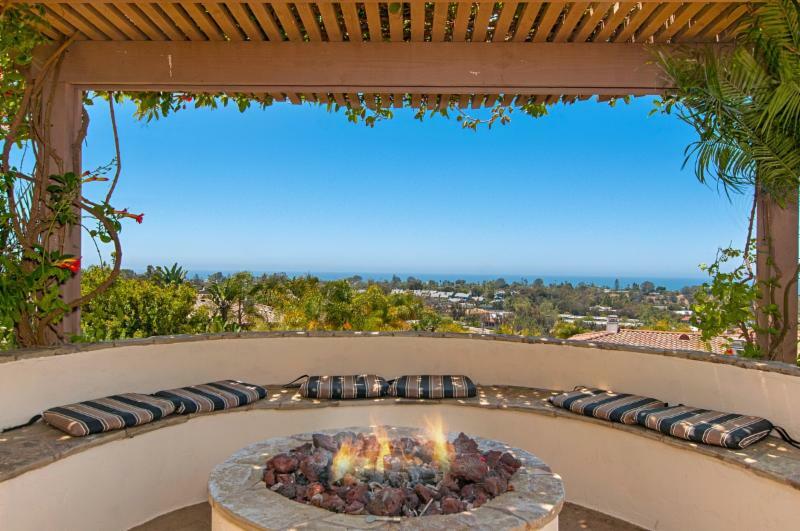 Freshly painted and recently updated, this is the ideal home for a family seeking prestigious coastal living within the award-winning Del Mar Union and San Dieguito Unified High School Districts. Neighborhood amenities include nearby shopping, restaurants, and close proximity to freeways. Your home could be next, contact Patty for a listing presentation! Del Mar Union & San Dieguito Unified School Districts! Saturday, October 29th | 1:00-4:00 p.m.
Sunday, October 30th | 1:00-4:00 p.m.
Every season, the housing market trends seem to change. As we enter the fall season, what can you expect to happen to the real estate market? How are prices going to be affected by the presidential election? What will potential buyers want to know? Mortgage rates have been low for a while now, but that is looking to change as we enter the fall season. The areas that will be hit most by this shift will be those with higher home prices. For more than 15 years, the real estate market has been in a serious state of flux. The deeper we head into 2016, the more “normal” and balanced it will become. This means that new home construction and distressed sales will trend closer to their historic levels than they have for years. The fall traditionally sees a slowdown of sales, but in 2016, Millennials will finally start making a difference as more and more of them start buying their first homes. You can also expect financially-recovering Generation Xers and aging Baby Boomers to also make a big impact in the home buying field this fall. New home builders have traditionally produced larger and more affluent homes for the luxury home buyer, but higher home prices and land costs coupled with a reduction in labor forces has forced builders to start focusing on producing more affordable homes for the entry-level buyer sect. Rent rates are climbing at a much faster pace than home prices. This is a trend that started in 2015 and it will be remaining steady through the fall of 2016 and beyond, as American households simply lack the creditworthiness, savings, and stable income that’s required by lenders to qualify for a mortgage these days. At the end of the summer, there were very few homes available for sale on the market compared to what’s normal for the “traditional” summer season. At the end of August, there were just 2.29 million homes on the market. That’s approximately 5.2 months’ worth of home sales. This is down by nearly 2% from August 2014. And this trend is going to continue into fall. In the fall, you can expect cash buyers, or those who are buying homes for investment purposes, to start bowing out of the market. The reason is because the number of foreclosed homes is starting to drop. This will enable those looking to buy homes to do so with much less competition. Are you starting to look for your first home or next home, but don’t know where to start? You’ve come to the right place. Patty is the real estate agent you’ve been waiting for! She has extensive experience in buying and selling in Carmel Valley, Rancho Santa Fe, Del Mar, Solana Beach, Encinitas, Carlsbad, La Costa, Rancho Bernardo, Rancho Penasquitos, and San Diego. I am thrilled to offer you a home value estimator from Top Producer’s Market Snapshot. This powerful and unique platform provides secure and accurate, hyperlocal, real-time MLS data to help you make informed buying and selling decisions. Once you have found out what your home is worth, please contact me to schedule a time to meet for a professional consultation. I have extensive experience in buying and selling in all areas of Carmel Valley as well as Rancho Santa Fe, Del Mar, Solana Beach, Encinitas, Carlsbad, La Costa, Rancho Bernardo, Rancho Penasquitos, and San Diego. I distinguish myself in real estate in San Diego because I provide my clients with unparalleled service and manage all aspects of each transaction with PURPOSE, PASSION AND A PLAN. I hope we can meet soon! 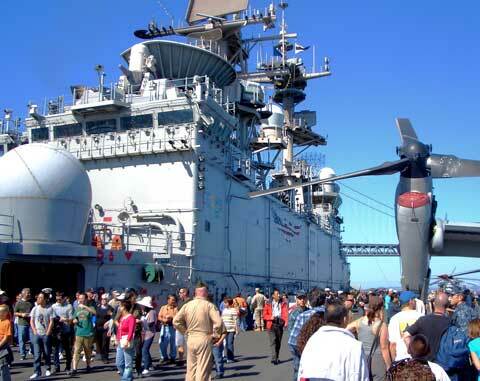 Kick off Fleet Week at the House of Blues. Van Halen Tribute Band Fan Halen will perform throughout the night, plus authentic Sailor Jerry will be tattooing. Scotch and cigar patio. Tickets at the door. Grammy award-winning singer and songwriter Kenny Loggins brings his farewell tour to San Diego. Events Center stage starting at 9 p.m. Tickets start at $55. 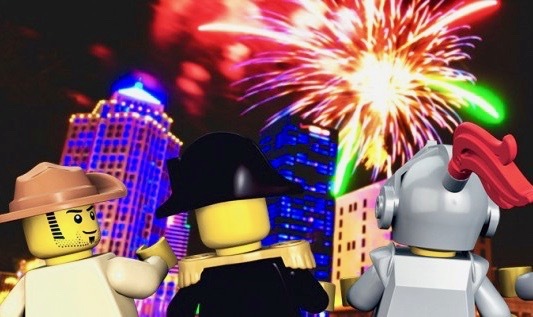 San Diego Symphony performs the 1812 Overture. 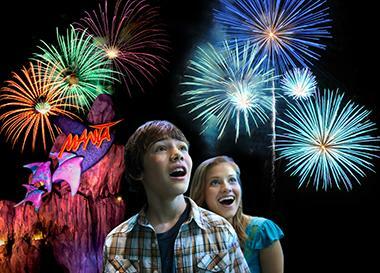 Fireworks will light up the night sky. Tickets start at $20. The Friday Summer Concert Series continues at the Del Mar Race Track’s Seaside Stage with The Wailers. playing reggae classics after the final race of the day. 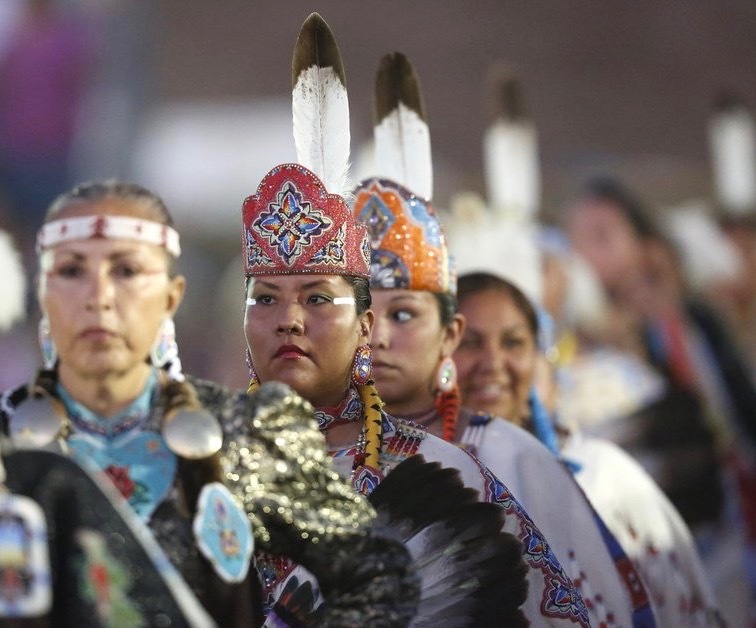 The Barona Powwow starts Friday with gourd dancing and a grand entry. Saturday, the festivities continue, with special contests throughout the day. Admission is free, and dry camping is permitted. Chromeo, a Canadian electro-funk duo, will perform at the Seaside Stage shortly after the last race wraps. Concerts are free with racetrack admission; if you arrive after the last race, admission is $20. All concerts are 18 years and older. Tradition luau at the rooftop pool and lounge on Hotel Palomar’s 4th floor deck! All-you-can-eat Hawaiian plate lunch, Tiki drink specials and a DJ. Tickets are $20. A true Labor Day tradition returns to Our Lady of Light, a Catholic Church in Descanso, 32 miles outside San Diego. Enjoy freshly barbecued meats, live entertainment, vendors, a raffle and, best of all, family time at this event for all ages. Admission is free. Bacon, beer, spirits and music will take center stage at the 4th annual San Diego Bacon Fest at Preble Field at NTC Park at Liberty Station. Pig out on unlimited samples of sizzling, bacon-centric dishes from some top-notch local restaurants and breweries. General admission tickets are $60 per person if purchased in advance; $65 the day of the event. The San Diego Metropolitan Transit System and San Diego Opera kick off their “Opera at the Track” program, a series of free, 30-minute opera performances at trolley stations across San Diego. The first show is at the Santee Trolley Station (9884 Mission Gorge Rd. ), at the Santee Trolley Square Amphitheatre. The Roots, Lady Dottie, The Diamonds and more will perform live. Plus, more than 50 Ballast Point brews will be available for purchase, along with tasty treats. General admission opens at 5 p.m. and costs $55, tickets include a specialty tasting glass, racetrack and festival admission and ten 4oz tasters. Early entry at 4 p.m. costs $70; designated drivers can buy tickets for $35. The 45-minute class set to upbeat music combines swimming, core, cardio and strength training all while wearing a colorful mermaid tail provided by The Del. Participants will meet at 7:45 a.m. at the Fitness Center; the class will head over to the Beach Village Pool. The cost is $20 per person and $15 for San Diego residents with an ID. Guests ages 12-17 can attend with an adult, but otherwise the class is for participants age 18+. Southern California Plumeria Society hosts its annual Hawaiian Plumeria Festival. The flower show, plus live entertainment and plumeria shopping, will fill the Casa del Prado. The event is free and open to the public. 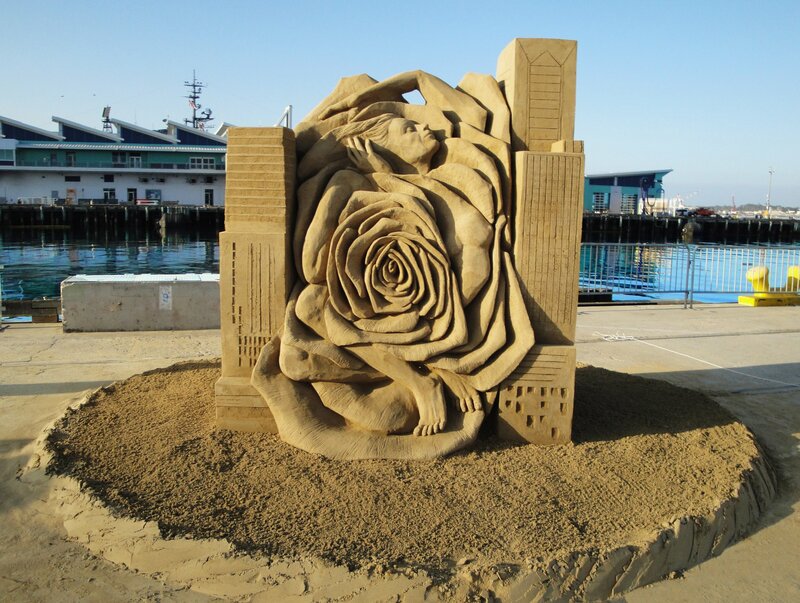 Check out the most amazing, elaborate sand sculptures at the annual U.S. Sand Sculpting Challenge at B Street Pier (1140 North Harbor Dr.). The four-day event from Sept. 2-5 includes arts and crafts vendors, live music, food and activities for the kids. Monday’s schedule includes a 2 p.m. session with a professional sculptor who will share tips on how to build sandcastles. At the gate, tickets are $13 for adults and $9 for kids and seniors. Save $1 by buying tickets in advance online. Labor Day marks the final day of Nighttime Zoo hours at the San Diego Zoo this summer. This year, as the zoo celebrates its centennial, nighttime hours have been filled with live music, special shows and fun activities. First pitch is at 1:40 p.m. Mystery Bag fundraiser. Theme is “Bark in the Park”. Tickets in the stands start at $21.50 per person. Liberty Public Station (2820 Historic Decatur Rd.) features dozens of local merchants. The Market is open daily from 11 a.m. to 7 p.m., but Monday is Market Happy Hour, which runs on weekdays from 3 p.m. to 6 p.m., with all vendors offerings discounts on select food and drinks from their mouthwatering menus. Patty has extensive experience in buying and selling in Carmel Valley, Rancho Santa Fe, Del Mar, Solana Beach, Encinitas, Carlsbad/La Costa, Rancho Bernardo, Rancho Penasquitos, and San Diego. Contact her today for a professional consultation! Office Depot/OfficeMax: In many locations, when you make a purchase of at least $5, you can also buy a variety of school essentials like folders, pencil boxes, and packs of index cards for just 1¢ apiece. Other items like one-subject spiral notebooks, 2-packs of kids scissors, and 12-packs of Crayola colored pencils are only 50¢ each, and five-packs of Sharpies are $1 each, no other purchase required. Rite Aid: Classic back-to-school items like Playskool glue, Playskool 24-packs of crayons, and Mead 100-sheet composition notebooks cost 59¢ each. Staples: Take your pick of 6-packs of highlighters or 10-packs of Bic ballpoint pens for 75¢ apiece on sale this week; and items like one-subject spiral notebooks, 12-inch wooden rulers, and 24-packs of Crayola crayons are priced at 17¢, 25¢, and 50¢, respectively, throughout the entire back-to-school season. Target: Target isn’t as well known as other retailers for ultra-cheap sales, but shoppers can find things like Sharpie singles in an abundance of styles and colors priced at $1 each. Walgreens: This week, Walgreens is promoting a special deal with 24-packs of Crayola crayons priced at just 69¢; plus, if you can get your hands on a coupon in the local Sunday newspaper, a four-pack of Bic Atlantis pens that normally sells for $1.99 will run only 49¢. One-subject notebooks, meanwhile, are being priced at 2 for $1, and folders and mini-highlighters are selling at 7 for $1. “Notebooks, pens and pencils are still on lists for schools all across the country,” said Ben Glaser, features editor at DealNews.com. Add to that folders, binders, filler paper, and composition books for all but the very lowest grades. For younger kids, you’ll need art-project supplies like glue sticks, construction paper and markers, crayons and colored pencils. For middle school on up, add highlighters, USB thumb drives, and some kind of tab or divider system to help them organize their assignments. “Smartphones are much more common,” Glaser said. Although they’re not technically a school supply, Glaser pointed out that they can replace some other devices, such as calculators, and they’re so ubiquitous. 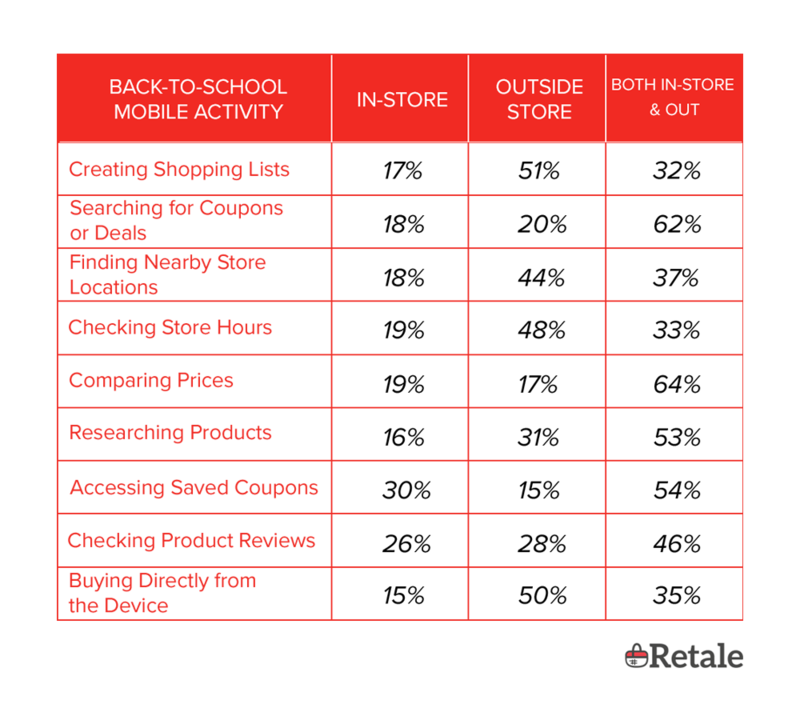 “Technology influences the must-have items for back-to-school,” said Traci Gregorski, senior vice president of marketing at Market Track. Especially for older kids, more lists now include tablets and laptops, earbuds, cords, chargers, headphones, and flash drives as essentials for students. As autumn approaches, are you considering selling your home? Call Patty for a professional consultation to find out how to maximize your home’s value. Kindergarten school hours: 8:00 am – 12:40 pm, except Wednesday dismissal at 12:30 pm. Grade 1st-6th school hours: 8:00 am – 2:30 pm, except Wednesday dismissal at 12:30 pm. August 15: Letter with instructions on how to access class lists mailed to parents. Parents will be notified by August 15 regarding Intradistrict Transfer or Option Area application status. August 26: New student orientation at all schools. 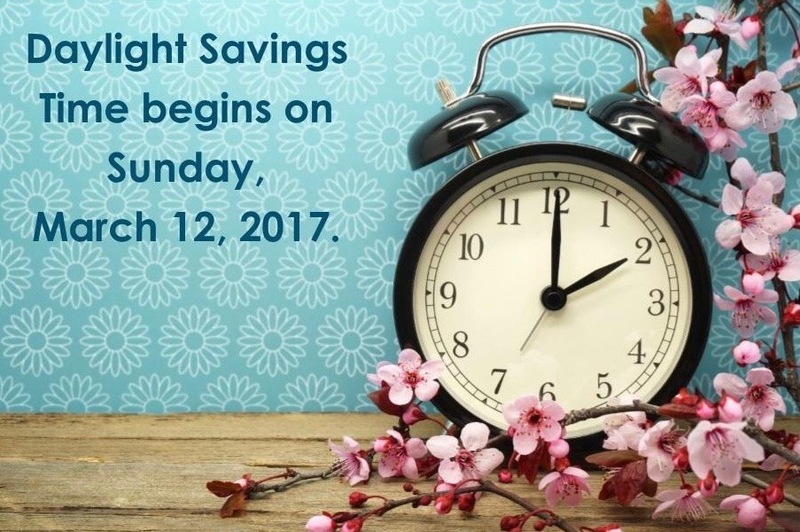 Check school’s website for exact time. Class lists available online at 5:00 pm. Please note: If your student’s enrollment packet, including immunizations, is not complete, your student’s name will not appear on a class list. August 29: First day of school. Please check the Del Mar Union School District School Locator to determine your school of residence. Enter your complete address, city and zip code and click “Find My Schools.” Zoom in using the + symbol. The house icon can also be dragged to a more accurate location on the map. Only the elementary school within your attendance area will be listed. If two schools are listed that means the address is in an Option Area. District staff will contact you only if your child cannot be placed at your school of residence. What is an Option Area? An Option Area [click here for maps] is a designated area within the attendance boundaries of a specific school site. Families that reside in an Option Area will have the “option” to attend one of two schools designated to their Option Area. Admittance to the schools is based on space available. A student enrolled in an option area school will have resident status and may remain enrolled at the school through 6th grade (or as long as the student lives in the DMUSD boundary). Download Option Area Request Form. Option area forms are also available at school or the District office. DMUSD will be posting a list of the schools with impacted grade levels on its website on August 25th. At certain times of the year, DMUSD schools may be at or near capacity. When that occurs, new students are assigned to another DMUSD school where space is available. For current information on a school’s enrollment capacity, contact Student Services at 858-755-9301 ext. 3688. Contact the school directly for attendance times. A lottery will not be necessary for any schools for the 2016-17 school year. All eligible students who participated in High School Selection will be offered enrollment in their first choice high school for 2016-17. Families of all eligible students will receive confirmation of their selection on March 10th via email. Click HERE for enrollment packet and information. Forms must be printed out, signed and returned to your school site in order for your student to attend school in the San Dieguito Union High School District. 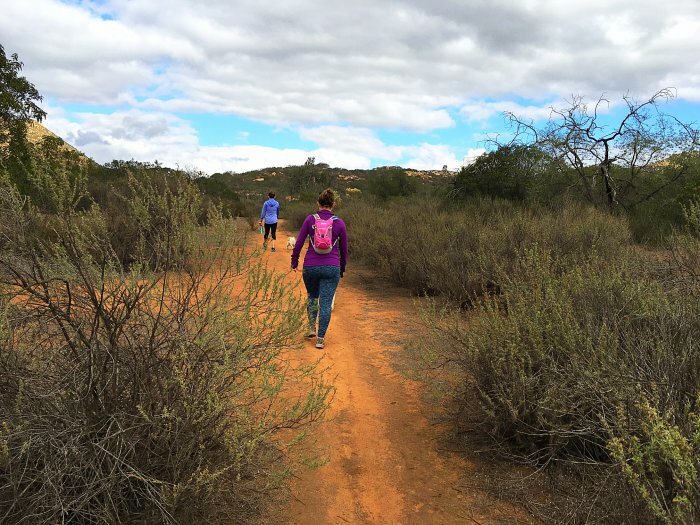 Intermediate — Not as popular as the so-called “Disneyland of Hikes” (aka Cowles Mountain), this trail is not as crowded and has even better views. 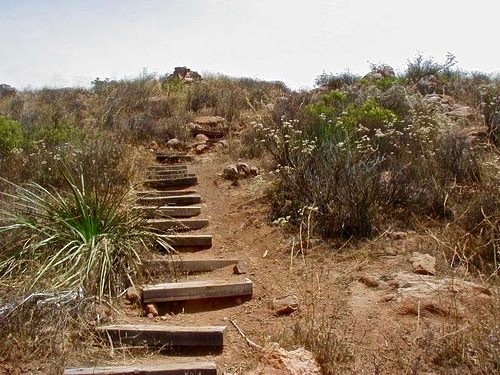 After you reach the top and start heading back, you can extend your hike to 9.5 miles by taking a path that splits off about a mile from the summit. You’ll trek through rock formations, past sweeping views, and into a rolling meadow toward the end. Start here: Take I-15 north to Poway Road exit. Trailhead is at the intersection of Poway Road and Highway 67. Easy — Spot wildlife and enjoy beautiful views. Dogs on leashes are welcome, and the hike is good for kids. Start here: Take I-8 east to El Cajon and exit on Greenfield Drive, then turn left on La Cresta Road. Continue as it turns into Mountain View Road, then turn left onto Horsemill Road, which ends at the reserve’s visitor center. 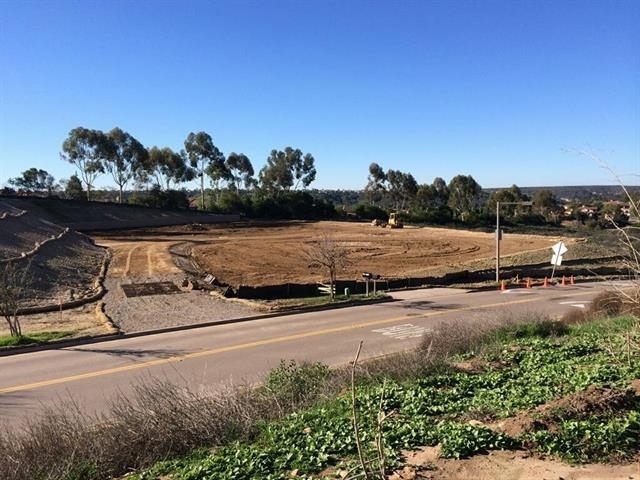 Moderate — Reserve lot on North Torrey Pines Road ($15 on weekends). Work those glutes on the steep path up into the park and then meander through the many trails, all of which have stunning ocean views. Take the beach trail down to the water and, if it’s low tide, run along the sand back to your car. Difficult (flat but long) — This point-to-point run is great for marathon training because it forces you to finish. The beautiful beaches distract you from your burning calves. Start here: Park at the Solana Beach Coaster station and take the train north to Oceanside, then run back on PCH. 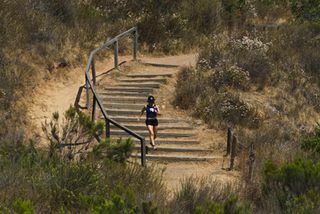 For a 4-mile run, get off at the Encinitas station instead. Difficult — This trail is right in the middle of the city, but its dirt paths take you up serious climbs and through secluded parts of the park. Then it brings you past the museums and over Cabrillo Bridge, giving you the full Balboa Park tour. Start here: Sixth Avenue and Upas Street and follow the red diamond #5 trail markers. Moderate — Join the packs of runners and bikers on this path and do some people-watching. The park is away from traffic with a network of trails for further exploring. Start here: Start at the Dusty Rhodes Dog Park on West Point Loma Boulevard in O.B. 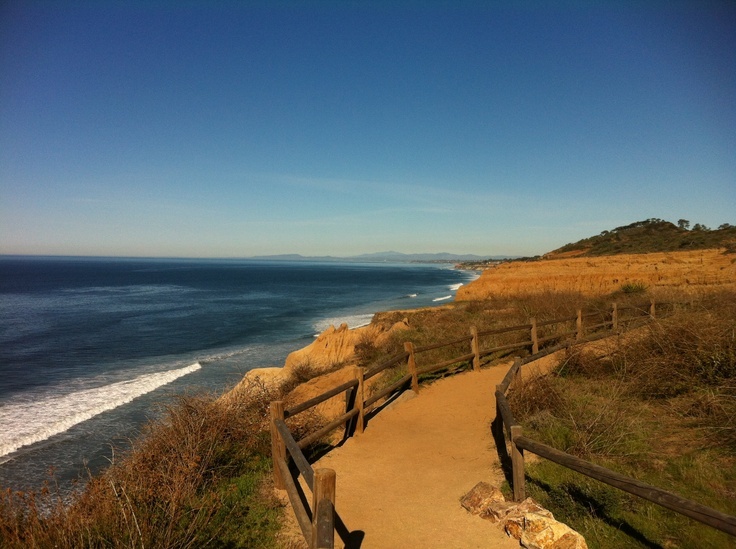 and make your way to Sunset Cliffs Boulevard, which takes you to the trails in Sunset Cliffs Park. 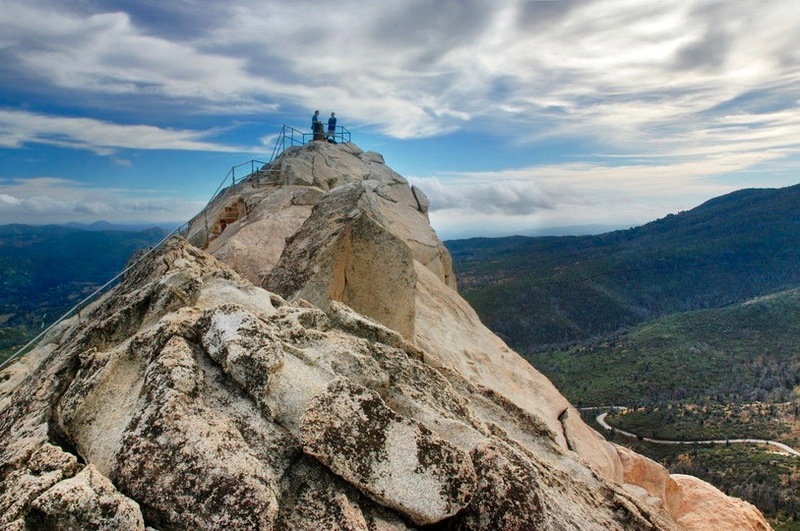 Easy — This moderate climb over a short distance has a big payoff: a 360-degree view of Cuyamaca Rancho State Park. Extend your hike by taking the trail down the back of the mountain and then looping back to the start. This park has tons of linking trails, so be careful not to trek too far or get lost! Start here: Take I-8 east to 79 north. Follow 79 for about 12 miles to Paso Picacho Campground. Park in the day use lot for $8. The trailhead is across the street. Moderate — This climb is fairly low-key, except for the infamous “Stairway to Heaven,” a set of wooden stairs toward the end. But all that cardio is worth it for the view from the top. Start here: Take I-15 north to Friars Road, then left on Mission Gorge Road and follow it for 8 miles to a parking lot at Jackson Drive. Easy — Follow the path around the zigzagging banks of this lake for a flat and easy run. The path also has markers every quarter-mile, which you can use for keeping pace. Start here: Take the Carroll Canyon Road exit from I-15 north. 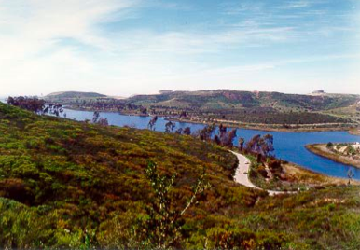 Turn right on Carroll Canyon, slight left onto Scripps Ranch Boulevard, right on Scripps Lake Drive. Park in the lot at the lake before you pass the water treatment plant. Moderate — This flat path has wide sidewalks and barely any contact with cars, and gets you onto Harbor Island without the parking hassle. Plus, there are many bakeries and restaurants in Liberty Station to celebrate after your run. 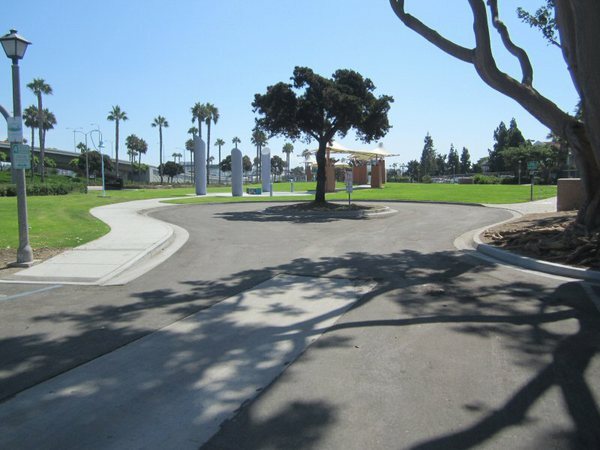 Start here: Start on Historic Decatur Road in Liberty Station and run through the park, over the pedestrian bridge and down Harbor Drive onto Harbor Island. The largest, authentic Louisiana-themed festival this side of the bayous! Featuring four days of live music on 7 stages, dancing, parading, shopping, playing and eating over 10,000 pounds of mouth-watering crawfish straight from Louisiana! Enjoy a zesty gumbo of music, food and joie de vivre with 90+ entertaining performances and culinary delights, presented by San Diego’s Bon Temps Social Club. Location: Spanish Landing Park, 3900 North Harbor Dr.
During this free, family-friendly event, there will be martial arts, ethnic dances, cultural exhibitions, entertainment, games, and of course, food! Expect new things this year, like our first ever beer garden (21+ only), the video game tent, the photo booth, and the return of favorites like the cooking demos and Cultural Row. 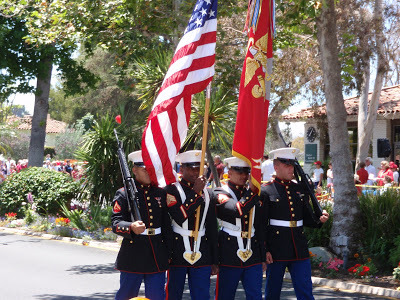 Location: Mira Mesa Community Park, 8575 New Salem St.
Each year thousands flock to Old Town, San Diego’s oldest, historic neighborhood, to take a step back in time and celebrate! The annual Fiesta Old Town Cinco de Mayo will be celebrating 33 years of tradition packed with activities for ALL AGES! Old town will be transformed into the largest Cinco de Mayo celebration north of the border, filled with mariachis, cervezas, great food, and more! 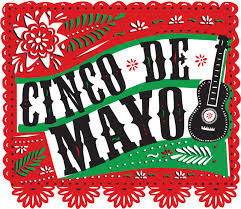 Check website for more Cinco de Mayo festivities preceding the weekend! 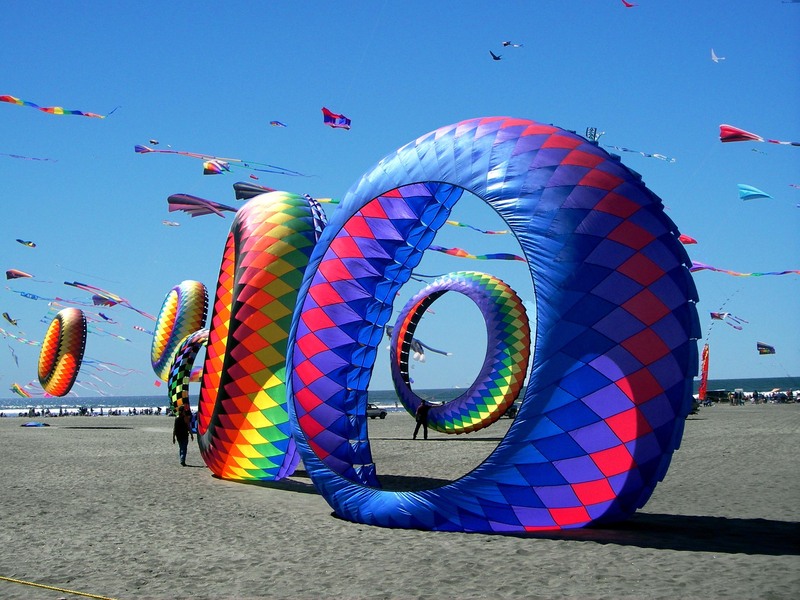 Join the Kiwanis for the 68th Annual OB Kite Festival at Dusty Rhodes Park. There will be prizes for best decorated kites–by age category, spectacular kite flying demonstration, kite games, live music and much more. 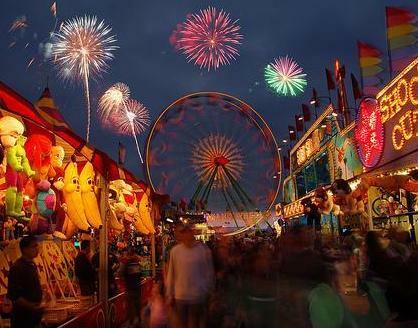 Enjoy the carnival; peruse the “Off” Street Fair of artisans, community booths, and food trucks. 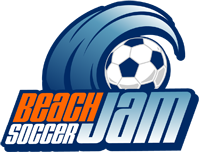 Beach Soccer Jam is a faster, hotter version of the world’s most popular sport! In addition to a weekend full of youth and adult beach soccer tournament play, Beach Soccer Jam is packed with entertainment, including Samba dancers with all the feathers, Capoeira martial arts dancers, as well as a kids’ fun zone, exhibitors, and food court. Location: Fiesta Island, 1550 Fiesta Island Rd. This unique 4-mile run/walk has a one of a kind spectacular panoramic view as participants make their way to Coronado’s beautiful Tidelands Park from downtown San Diego over the Coronado Bay Bridge. 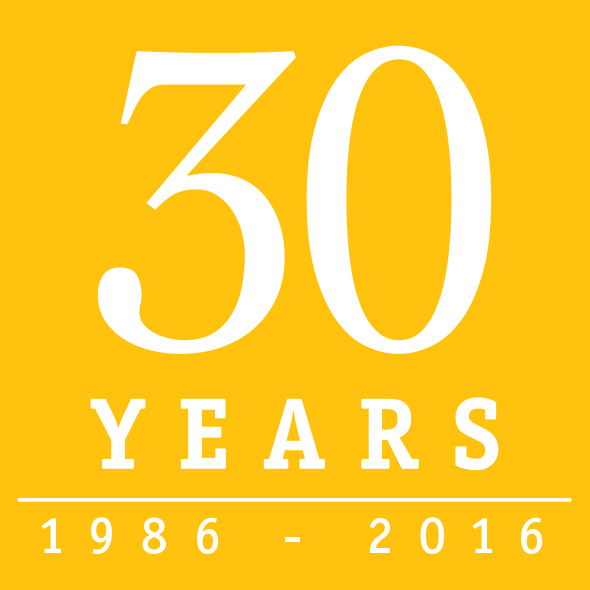 During the finish line celebration, runners receive a special Finisher’s Medal and event shirt to commemorate our 30th year, plus complimentary transportation back to downtown. See you on the bridge! 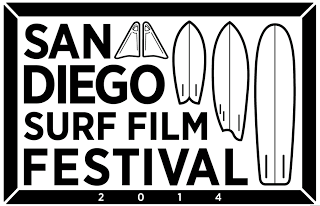 The 2016 SDSFF will highlight over 35 international films, dozens of filmmakers and producers in attendance, intimate Q&As, filmmaker panel and workshops, an amazing surf art gallery, surf legends and shaping demos, beach clean-ups and expression sessions, incredible live music, serendipitous live art, book-signings, rad folks and raging after-parties. We welcome surf enthusiasts and filmmakers from around the world to come celebrate the art of surf cinema in the heart of San Diego. 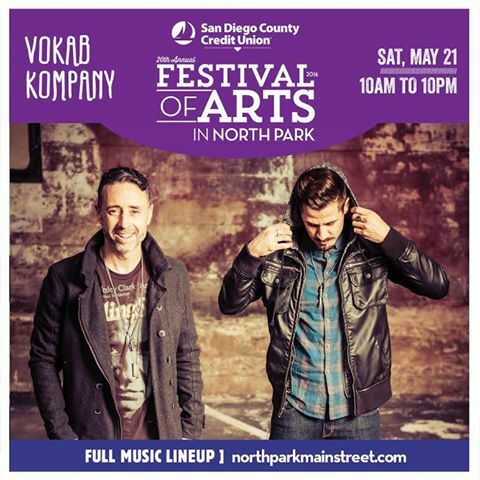 Spend the day with your family and friends exploring the historic North Park neighborhood at the 20th Annual SDCCU Festival of Arts in North Park. This annual free festival has grown into a local tradition that includes amazing local art, exciting live music and dance performances, vendor booths and fabulous food. 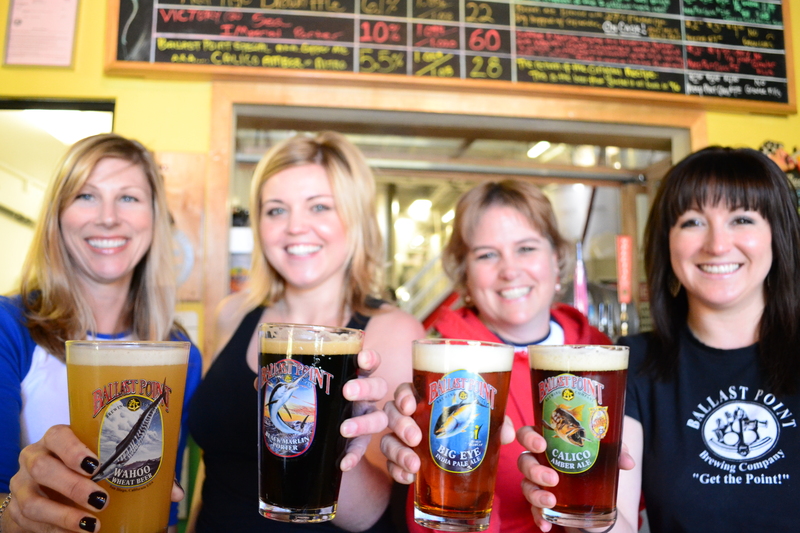 Come thirsty to the Craft Beer Block and sample brews from San Diego’s favorite breweries. 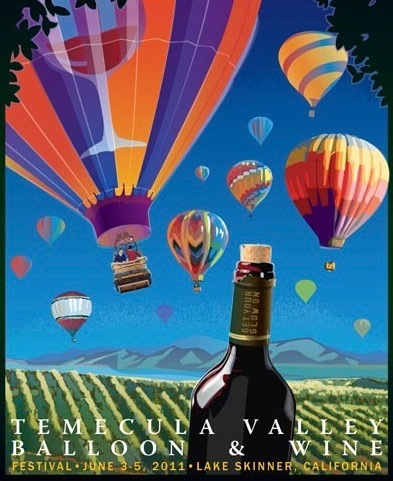 The Temecula Valley Balloon & Wine Festival offers top-name entertainment, hot air balloon flights, wine tasting, kids faire, arts & crafts, commercial exhibits and lots of food. Hot air balloon lifts begin at sunrise and rise into the sapphire skies above Lake Skinner. Wine tasting features different premium wines from numerous Temecula Valley wineries as well as others from Southern California. Vista was once the “Strawberry Capital of the World”! 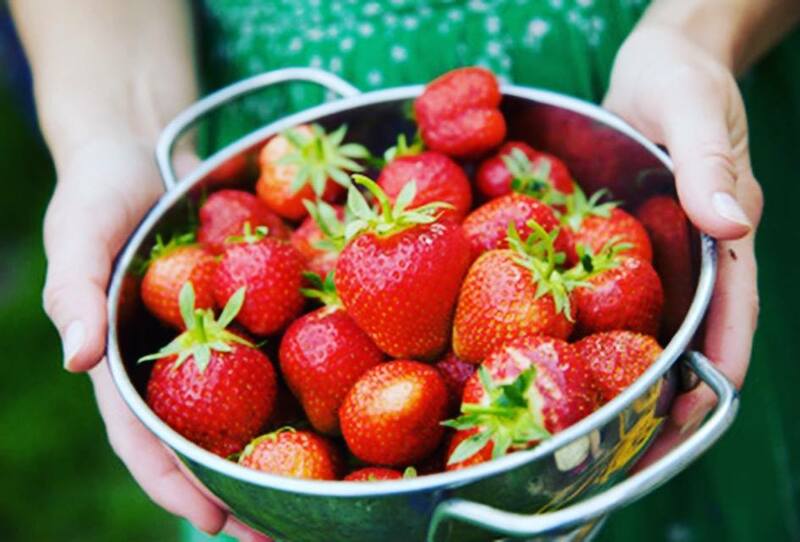 This is San Diego County’s only celebration of the Strawberry. Come enjoy live entertainment on multiple stages, bands, local craft brews all day long in the beer garden, contest, carnival rides & 300+ vendors. Unparalleled canyon views elevate this Carmel Valley home to a class of its own. The highly desirable and rarely offered Belmont Plan 4 is situated in the bulb of a cul de sac on a quiet street, peacefully tucked away in Carmel Country Highlands. The flexible and open floor plan offers 3,689 sq. ft. with 5 bedrooms, 3.5 bathrooms PLUS a bonus room. With living space galore, the first level of this gorgeous home has an ensuite bedroom with new hardwood floors, spacious living and dining rooms, and a powder room. A lovely fireplace enhances the large family room. Sliding doors lead to the outdoor garden oasis. 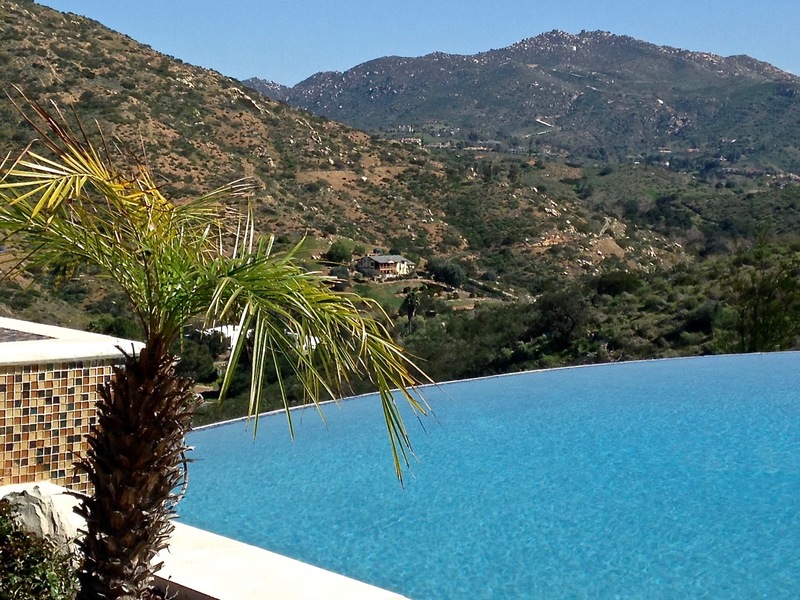 The luxurious pool with slide and spa overlook the panoramic views of the canyon preserve. Keep warm at night next to the fire pit and entertain your guests in this tropical hideaway of lush landscaping and mature palm trees. Grass has been replaced by turf for low maintenance upkeep in an inviting outdoor living space. The gourmet kitchen features subtle hued Corian countertops, rich maple cabinetry, a roomy walk in pantry, and a large center island perfect for family gatherings and entertaining. The master bedroom boasts serene views of the backyard and nature preserve. 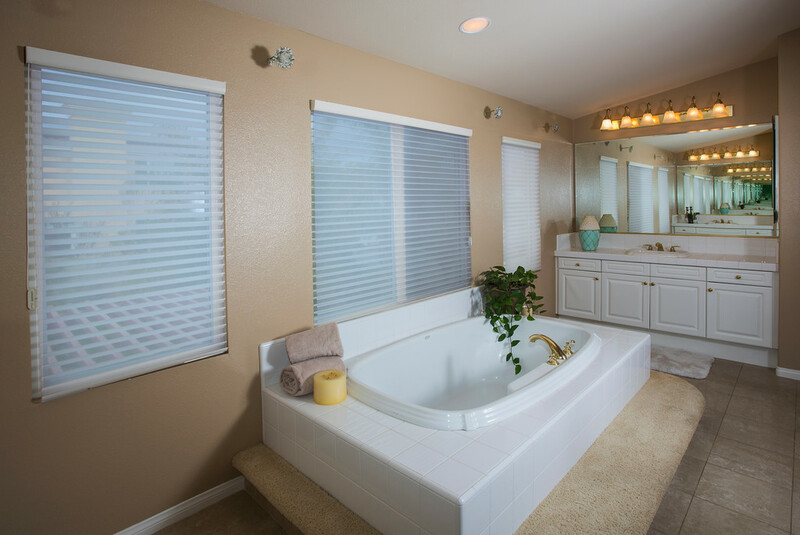 The master bathroom has dual vanities, a soaking tub, a stand-alone shower, and a huge walk-in closet with custom built-ins. A large storage space is accessible behind the master closet. All secondary bedrooms are generous in size with large closets. The bonus room can be used as a play area, home office, or entertainment space. Other features include an upstairs laundry room with utility sink and storage, two air-conditioning units, and a 3-car garage. This well appointed home is within walking distance of award-winning Sage Canyon Elementary School and is a part of the Del Mar Union and San Dieguito Union High School Districts. Neighborhood amenities include nearby shopping, restaurants, and close proximity to freeways. Welcome to the perfect coastal lifestyle! IN ESCROW IN ONE DAY! PATTY SELLS CARMEL VALLEY!! IN ESCROW IN ONE DAY! 4 bed | 4 bath | 1 optional bedroom | 3,696 sq.ft. Contact Patty to request a listing presentation. COME VISIT OUR OPEN HOUSES THIS WEEKEND! Not on the MLS yet! 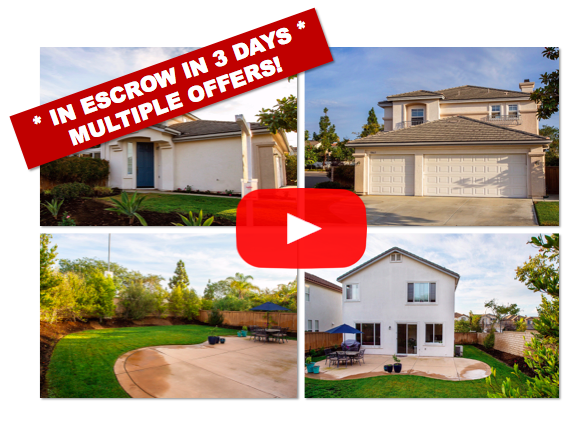 13141 SANDOWN WAY–IN ESCROW IN ONE WEEK! When you list with Patty, get ready to move!! IN ESROW IN ONE WEEK!! 5 bedroom | 4.5 baths | 2 optional rooms | 4,396 sq.ft. Huge cul de sac lot | 17,600 sq.ft. The epitome of coastal, estate living, this luxury home in Carmel Valley’s desirable Seabreeze Farms features a wealth of custom upgrades with a resort-style backyard for seamless indoor/outdoor entertaining. 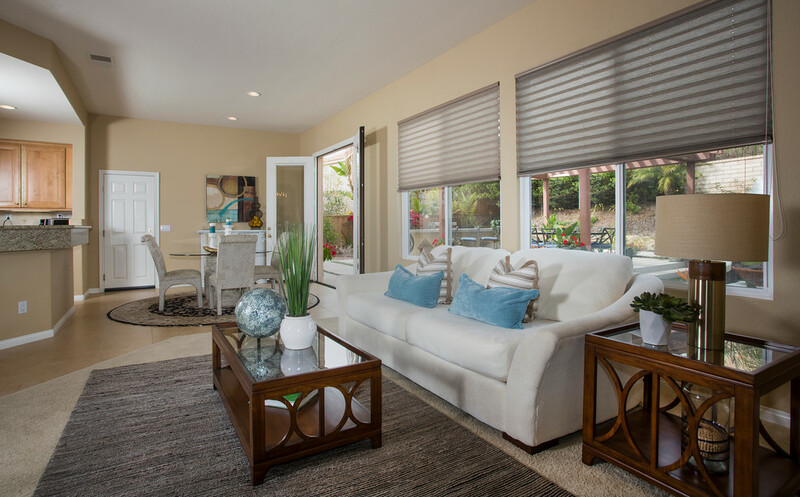 Experience relaxing sophistication in 4,396 sq.ft. of stunning interior living space with 5 bedrooms, including a 1st level ensuite guest room, office, powder room, bonus room, 4.5 baths. Mature trees, roses, bougainvillea, and a lovely fountain grace the home’s elegant entrance. Beautiful hickory hardwood flooring, fresh designer paint, new carpeting, crown molding, and wood beamed ceilings accentuate the 1st level. The formal living and dining rooms lead to a spacious family room with a custom slate fireplace and built-in entertainment unit. The chef’s kitchen features upgraded appliances, granite countertops, large center island, stone-tiled backsplash, and bright eat-in kitchen. One of the homes most unique features, the walk-through butler’s pantry has tons of storage, more countertops, and a huge walk-in pantry. An upgraded dry bar is between the butler’s pantry and dining room. Feel like royalty in the bright and expansive master bedroom retreat with his/hers vanities, custom his/hers walk-in closets, luxurious soaking tub, and step-in shower. Also on the 2nd level are 3 guest bedrooms, two connected by a jack and jill bathroom and one ensuite. Step into paradise in the outdoor living room with a built-in barbecue and huge dining island, tranquil fireplace, and enormous hot tub. Terraced, mature landscaping with lush palm trees, wisteria, and succulents, as well as intimate sitting areas tucked into the hillside. The 3-car, tandem garage accessed from a porte-cochère courtyard. 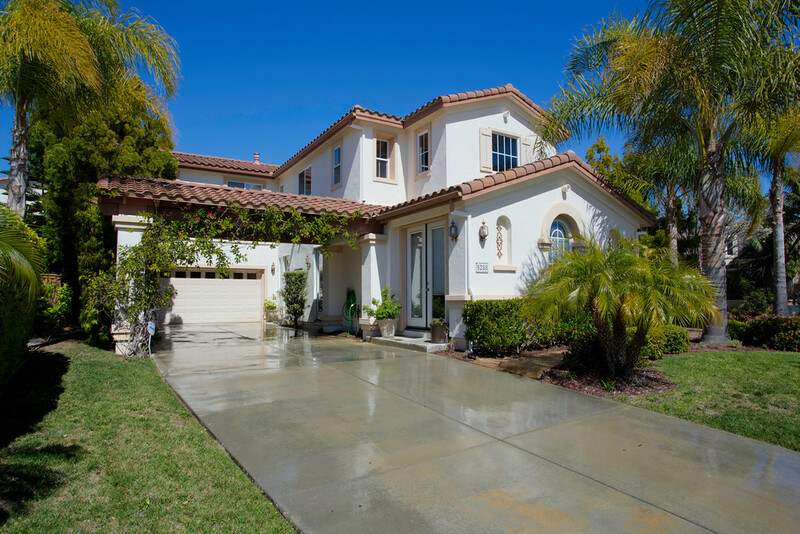 Located in the award-winning Del Mar Union and San Dieguito Union High School districts, and walking distance to Sycamore Ridge Elementary, Pacific Trails Middle School, Canyon Crest Academy, and Cathedral Catholic High School. This private executive home is being offered by its original owners. Don’t miss out on this exclusive property! Check out yesterday’s Carmel Valley News! In recognition of her philanthropy to the Dollars for Scholars program, Carmel Valley resident, Patty Contreras, recently received an award at the San Diego County Annual Scholarship Showcase. Contreras, a real estate agent at Pacific Sotheby’s International Realty, was honored for establishing the “Dream Fund” at Canyon Crest Academy Dollars for Scholars. The ceremony took place on January 20, 2016 at the University of San Diego; event sponsors were Mission Federal Credit Union and Sycuan Band of the Kumeyaay Nation. The Dream Fund is the first and only renewable scholarship offered by CCA Dollars for Scholars. Contreras has pledged to give $1,000 per year for four years to a student selected two years ago and currently in her second year at the Massachusetts Institute of Technology. Ron Caruthers, founder of Duceras, a Carlsbad-based college preparation and planning support group, has partnered with Contreras to fund the scholarship. Contreras also serves on the board of CCA Dollars for Scholars. She created the Dream Fund in tribute to Dr. Maurice M. Salter, her college mentor, advisor, and friend. Dr. Salter serves as chair of the UCLA Foundation board of directors and its executive committee. His areas of research and interest include the job market for doctoral degree recipients, the characteristics of college environments, how students choose colleges, and how they finance their higher education. Dollars for Scholars® is a parent volunteer, community-based scholarship organization. The mission of the affiliate at Canyon Crest Academy is to recognize seniors for their involvement in a broad range of activities and interests during their high school career, and support their pursuit of continuing education, from four-year degrees to technical training program. It relies on school and community support to raise local dollars for scholarship funds. San Diego, the eighth largest city in the country, is referred to as “America’s Finest City” for good reason! As locals, we take great pride in our gorgeous city and love that San Diego has something for everyone. With our warm, summer-like weather, now is the perfect time to explore some unique and fun outdoor adventures!! The future has come to San Diego with the world’s first water-propelled jetpack. Choose from a short 15-minute flight, or go all out with the 60-minute James Bond Flight Experience and zoom up to 25 feet above Mission Bay. Now paddleboard addicts don’t have to stop when the sun goes down. San Diego Bay Adventures has a new nighttime experience — a one-hour, LED-lit paddleboard tour around the Sheraton Marina. Check out the nocturnal wildlife in San Diego Bay, and finish off the night with a fireside gathering complete with Hawaiian music and folklore. San Diego Beach Rides offers private guided beach and trail rides near Imperial Beach, next to the Tijuana River Valley Nature Preserve. Ride through the Tijuana River Valley, along the beach, or take your horse into the surf with the Swim Adventure experience. Being outside doesn’t mean you have to break a sweat. 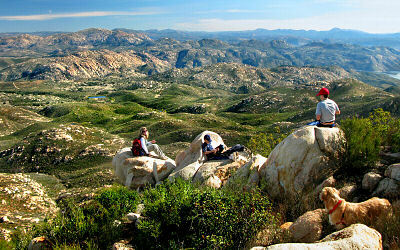 The Salon of Art offers fine oil painting instruction that takes advantage of San Diego’s world famous vistas. The En Plein Air outdoor painting programs take place in different locations each week. Learn about color mixing, composition, and supplies needed to create a painting in one session. What better way to sample some of the region’s finest brews than on a bicycle? Mira Mesa Bike & Brew, offered by REI San Diego, has a new tour for spring that includes an inside look at local breweries, plus a support van to carry your purchases (or you) safely back to base camp. Save money with the BYOBike version of the tour. There are around 25 dog friendly wineries in Temecula! Whether you’re ready to do a little wine tasting or just relax and enjoy a glass as you take in the scenery, you’ll find several Temecula Valley wineries that will allow your well-behaved, leashed dog to join you. These locations include Baily Winery, Gershon Bachus Vintners, Oak Mountain Winery, Falkner Winery, Frangipani Estate Winery, Europa Village, and Monte de Oro. In its Outlook 2016 report released in January, Goldman Sachs states that it sees no recession on the horizon. The report says that this bull market is the third longest since WWII and this economic recovery is the fourth longest. Low probability risks include the tightening of monetary policy by the Federal Reserve, China’s slow growth and volatility, and banking crises in countries around the world. While in 2016 there will be some external shocks felt globally, these should not derail this economic recovery. Stay invested at the strategic asset allocation to U.S. equities. Expect modest returns given current valuation levels and a Federal Reserve that has embarked on tightening monetary policy. With market volatility, an asset class that performs well in the first half of the year may perform particularly poorly in the second half. Investors should not try to time short-term moves. Click below to see a short presentation by Sharmin Mossavar-Rahmani, chief investment officer at Goldman Sachs. Published on 1/15/16. The Lunar New Year, also called the Chinese New Year and the Spring Festival, marks the first day of the lunar calendar, which is based on the moon’s orbit around the Earth. It coincides with the coming of spring and is celebrated by a number of Asian countries, including China, Japan, North Korea, South Korea, and Vietnam. The New Year celebration will usher in the Year of the Monkey. Kick-off the festivities by starting at the Lunar New Year Festival happening from Jan. 29 – 31. This pan-Asian festival costs $5 for adults and $4 for kids. There is free admission for anyone dressed in a complete military uniform. 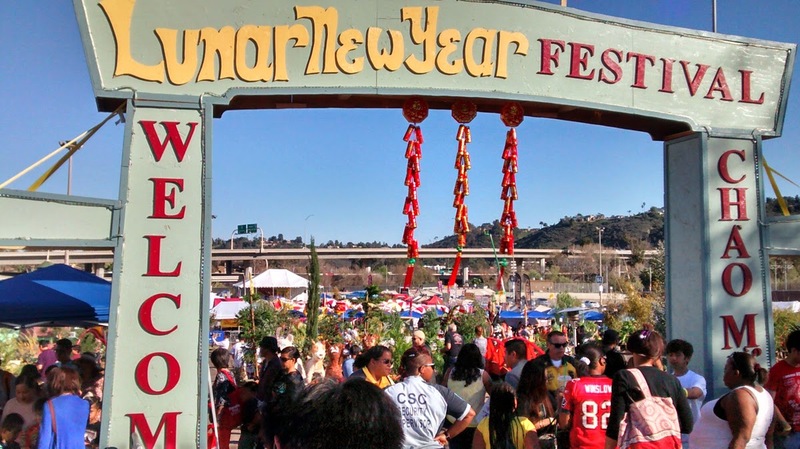 This festival at Qualcomm Stadium includes 16 carnival rides, games, contests, live entertainment and food from all over Asia is available for guests to enjoy. 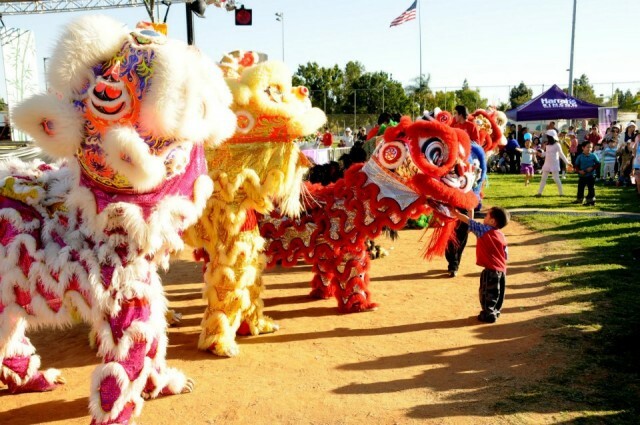 Celebrate Tet Festival – the Vietnamese New Year celebration — from Feb. 12 – 14 at the Mira Mesa Community Park. The events offers fun for whole the family including carnival rides, games, authentic Vietnamese food, lion dancing and firecrackers. The entertainment programs include Miss Vietnam of San Diego and a Cultural Village to immerse yourself in Vietnamese culture. Come celebrate the Chinese New Year Food and Cultural Fair on Feb. 13 – 14 to ring in the Year of the Monkey! The downtown San Diego event includes lucky lion dancers, martial arts performances, food, Asian Story Theater, arts and crafts, opportunity drawings, and more! 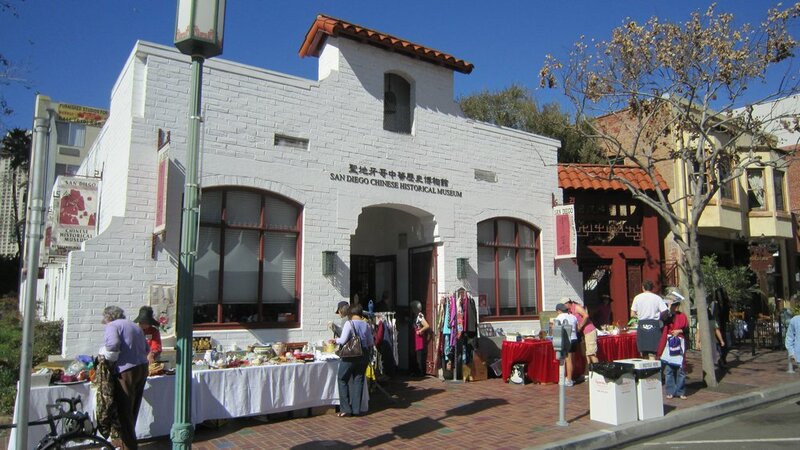 While you’re downtown at the Chinese New Year Food and Cultural Fair, stop in at the Chinese Historical Museum. This museum provides a nice overview of Chinese art and culture in San Diego. Kids can see artifacts such as a rickshaw and Chinese pottery. Exhibits are constantly changing as well. The highlight is the beautiful garden and koi pond at the back. 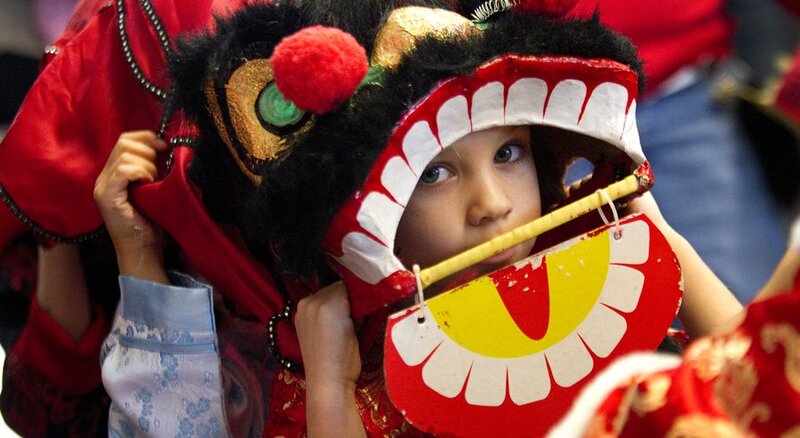 This Mandarin Chinese Magnet elementary school hosts their annual community festival on Feb. 6 from 11 a.m. – 3 p.m. The event features lion dances, face painting, performances by Barnard students, a student art auction and more. For a small fee, kids can play small carnival games as well. Enjoy riveting performances from Chinese acrobats inside Mission Bay Theater®. Be awed by lion dancers and take in the beautiful scenery and décor. Fill your appetite with Asian-inspired food and drinks. Free Admission for those Born in the Year of the Monkey. 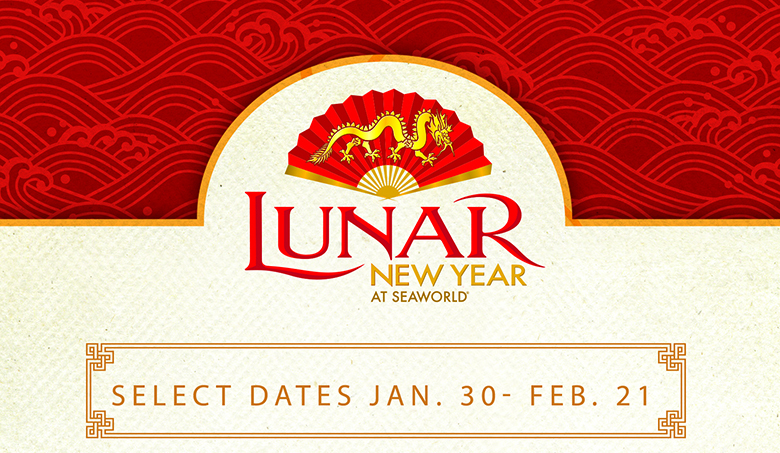 Lucky guests born in 1920, 1932, 1944, 1956, 1968, 1980, 1992, or 2004 enjoy one free single-day admission to experience Lunar New Year at SeaWorld San Diego. To redeem this offer, show your valid form of ID at “Tickets and Reservations,” Feb. 6, 7, or 8. Click here for more information. 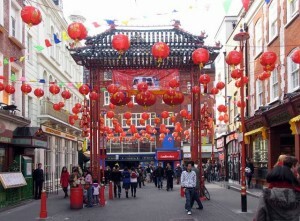 There are many ways your family can celebrate the Chinese New Year. 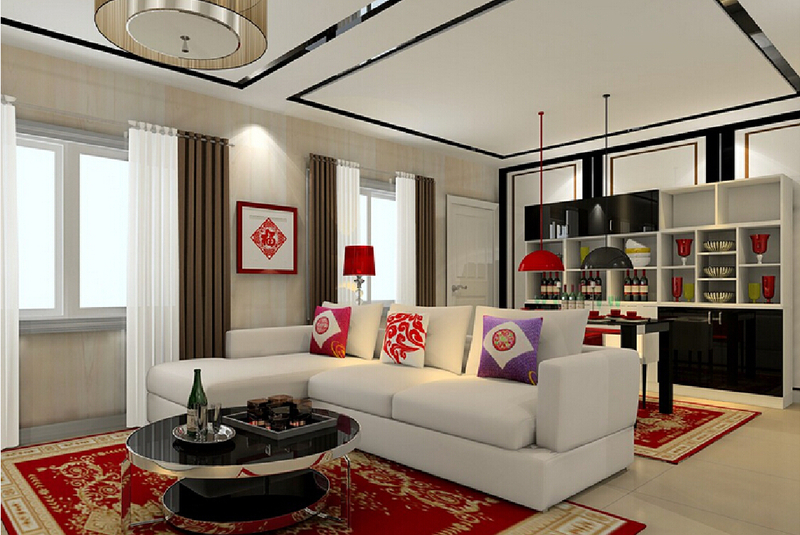 You can start by decorating your home. Add a splash of good-luck red and gold to your child’s room with red lanterns, hanging firecrackers and other festive decorations. Party City stores around San Diego and elsewhere have Chinese New Year decorations. For decorations and even costumes that are the real deal, try an Asian import or grocery store, such as Ranch 99. Don’t forget to search the library for books about Chinese New Year that you can read together at home. The Internet also has free printables that kids can color while learning more about this important holiday. Another easy decoration involves an anti-oxidant rich, kid-friendly fruit. Citrus trees of all sizes appear in the doorways of homes and offices during Lunar New Year. If a real tree is out of the question, pile oranges or tangerines high in a bowl, as they are thought to bring good fortune and health in the new year. Better yet, make it a fun project for the kids. A major part of Lunar New Year celebrations is cleaning the house from top to bottom in order to sweep away bad luck from the prior year and make room for good tidings. Explain this to the kids–just maybe, they’ll clean their rooms! San Diego Restaurant Week spotlights the city’s delicious dining scene. It’s back Jan. 17-24, 2016! San Diego County’s largest and most successful dining event, San Diego Restaurant Week was launched with the intention of spotlighting the city as a premier dining destination. Held twice annually, this beloved culinary tradition features San Diego’s best restaurants offering fixed price, three-course dinners and two-course lunches. Grab your family, friends and co-workers and experience incredible cuisine at over 200 local restaurants across San Diego. Just browse the list of restaurants and menus, make your reservations and enjoy! There are no tickets or passes required. Food lovers may simply dine out at as many participating restaurants as they like during San Diego Restaurant Week, explore new dining opportunities or enjoy old favorites. Advance reservations are strongly recommended and can be made by calling restaurants directly or visiting their profile online. 1 bedroom | 1 bath | 727 sq. ft. Meticulously upgraded, attached townhome with designer touches. Highlights include remodeled kitchen, updated plumbing and electric, custom closets, dual sink master bath, garage with epoxy flooring and lots of storage. Washer/dryer hookups in unit. Perfect UTC location across the street from the Nobel Recreation Center Playground and Nobel Athletic Area & Library. CHOOSING THE RIGHT REAL ESTATE AGENT — LET’S MAKE 2016 OUR BEST YEAR EVER! and a year filled with all the good things you deserve! We will all be making important decisions in the next 12 months. Choosing right real estate agent makes all the difference in buying or selling your home. Patty educates her clients about the home-selling process. 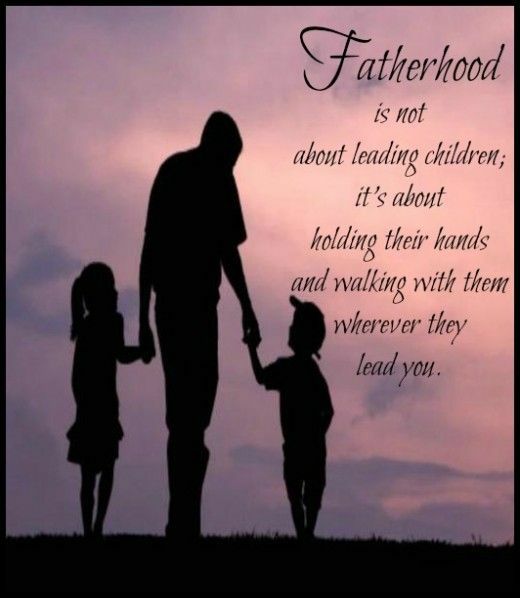 She leads you by the hand, every step of the way. She has unparalleled knowledge of the real estate industry. She works with a team of professionals. She will sell your home profitably & quickly. You interact directly with Patty. The majority of Patty’s business is based on referrals, word of mouth, and repeat clients. She appreciates the opportunity to be interviewed as you choose an agent to help you buy or sell your home. Check out these dazzling holiday table settings and centerpieces for sparkling inspiration when hosting get-togethers for family and friends!! With very best wishes for a happy, healthy, and peaceful holiday season! As a token of my appreciation to my clients, I am sharing my A-list of vendors and service providers. Click on this link for access: Patty’s A-List 2015. I hope that this list will make your next home improvement project a little easier. Opponents said the hikes are too sharp and sudden, will impact low-income residents too severely and send the wrong message to many thousands of San Diegans who have dramatically reduced water use this year because of an ongoing drought. Supporters, including a broad coalition of business and environmental groups, said such large hikes — 9.8 percent in January and 6.4 percent in July — are a necessary evil that will actually save ratepayers in the long run by helping fund projects that will boost San Diego’s water independence. Those include a regional desalination plant in Carlsbad and the city’s $3.5 billion plan to recycle treated sewage into drinking water. Those projects, combined with projected increases in the cost of imported water, will require additional planned San Diego rate hikes of 6.4 percent in July 2017, 5 percent in July 2018 and 7 percent in July 2019. That would be a 40 percent compounded rate hike within four years, but the Utilities Department could cancel or shrink some of those future increases if circumstances change, such as the drought ending. The council also increased rates for irrigation water 117 percent. Council President Sherri Lightner said the hikes put San Diego on course to have a more financially sound and reliable water system for decades to come. Imported water, which accounts for more than 85 percent of the city’s water supply, has more than doubled in price since 2005, with the city passing most of those cost hikes on to ratepayers. He stressed that less than one-twentieth of the revenue generated by the rate hikes over the next five years will pay for Pure Water infrastructure. “To say that if we don’t do this we will not have Pure Water is just false,” he said. Ironically, conservation played a role in the increases being so large. Reduced water usage by San Diegans this year cost the Utilities Department about $73 million in revenue, city officials said. While that lowered costs for imported water, it left the city with less money than expected to make debt payments and fund ongoing maintenance and capital improvements. The increases approved are 1 percent less than the city’s Utilities Department and Mayor Kevin Faulconer requested. Council members said they wanted to somewhat soften the burden on ratepayers, suggesting some planned capital projects could be slightly delayed. In addition, concerns about sticker shock for residents who are poor or living on fixed incomes prompted the council to include in its approval that city officials accelerate exploration of a subsidy program. Channelle Hawken of the San Diego Regional Chamber of Commerce said the hikes San Diego’s water rates are in line with most other cities. Environmental groups said delaying the Pure Water program would force the city to spend as much as $2 billion upgrading the Pt Loma Wastewater Treatment Plant. If a large percentage of the sewage treated by the plant isn’t diverted to a recycling system and turned into clean drinking water, the plant will need to improve its treatment capabilities to comply with federal guidelines. That would cost almost as much as Pure Water and the city wouldn’t see an increase in its local water supply, they said. Mayor Faulconer said not approving the hikes would have put the city at risk. The council approved all of the 40 percent compounded rate hikes through 2019 on Tuesday, making no further approvals necessary. But Utilities Director Halla Razak said she planned to hold public hearings and get the council’s consent for the increases beyond July 2016. On October 3, 2015, amendments to the Truth-in-Lending Act (TILA) and the Real Estate Settlement Procedures Act (RESPA) went into effect. While these changes are aimed at providing more transparency to borrowers, the net result is that home loans will now take 45-60 days to be approved. This new rule, called TRID, consolidates what were previously the Good Faith Estimate and the Truth in Lending Disclosure into the Loan Estimate, and the final Truth-in-Lending statement and the HUD-1 settlement statement into the Closing Disclosure. These new rules apply over the majority of loans. Must be provided to the borrower within three business days of the loan application. It is intended to be better organized now that the information has been consolidated into a format that makes it easier for the consumer to read. The intent of having all the necessary information on one document instead of two is to enable the borrower to have a clearer idea of what they are being charged so they are more empowered to shop around for the best rates. Must to be provided to the borrower three business days before closing. This is a strict timeline and cannot be waived except in cases of financial emergency. Whereas before it was common practice to be making changes to the HUD up until closing, that is no longer possible. The lender is now responsible for preparing the Closing Disclosure, and due to these new responsibilities, loans are likely to take longer to underwrite. Investors who intend to obtain a loan for a new purchase definitely need to keep in mind the restructuring, as it will affect the time that it takes to close on a property. Many lenders are recommending at least 45 days, though 50-60 days may be more realistic, especially as lenders navigate the recent changes. Exceptions to the new rule: Cash transactions, seller financing (as long the seller has limited financing activities to 5 properties or less), home equity lines of credit, land, and commercial or business transactions. Again, these types of credit and/or purchases do not require the new forms and do not follow these new TRID rules. Patty recommends that her clients consider this new timeline when planning their next real estate transaction. The new laws will impact how soon buyers will want to make a purchase and when sellers will want to put their homes on the market.The key is also to work with a great lender (I know many) who is on top of all these changes and can minimize the amount of extra time to get your loan closed.Have questions? Let me know. I’ve made sure to be on top of these changes and as always strive to keep things moving as easily and stress free as possible. Soaring ceilings and unique interior architectural details await you in this elegant EXECUTIVE home. Dramatic features include a sweeping staircase, bleached, wire brushed oak floors, and upgrades at every turn. Pride of ownership radiates in this 4,620 sq. ft. Lexington Plan 4 on a prime corner lot in a private cul de sac. With meticulous attention to detail, the open floor plan features five ensuite bedrooms, including a bedroom and powder room on the first level. The large chef’s dream kitchen has brand new KitchenAid and GE Monogram stainless steel appliances, granite countertops, breakfast nook and spacious pantry. Flowing from the gourmet kitchen is a large family room with a striking granite fireplace. Unique to the Plan 4 is the separate entertainer’s bar area with pass-through access to both living and family rooms. The richly appointed formal dining room is ready for your next dinner party. The master bedroom retreat has a Juliet balcony overlooking the private backyard. The sophisticated master bathroom has been fully remodeled with huge steam shower with dual heads, heated floors, Grohe fixtures, custom mirrors, and built-in closet organizers. The huge media/bonus/game room has a 90” screen, projector, and speakers. Other details include a butler’s pantry, fresh designer paint throughout, laundry room with abundant storage, Low-E Milgard windows, speakers in the master bed and bath, and 3-car garage. The backyard is a resort-style oasis with fresh landscaping, glass-tiled and solar-heated pool, spa, built-in barbecue, and fire pit. This home is walking distance to top-ranked Sage Canyon Elementary School, and within the boundaries of the Del Mar Union and San Dieguito High School Districts. Beaches, shopping, restaurants, and convenient access to freeways. California coastal living at its finest! The San Dieguito Union High School District is welcoming a new middle school to Carmel Valley this fall. On Tuesday, August 25th, the doors will open for the first time to approximately 220 7th graders at Pacific Trails Middle School! The school is located in the Pacific Highlands Ranch neighborhood in Carmel Valley, next to Canyon Crest Academy. The initial enrollment capacity for PTMS will be 500 students and will eventually expand to about 1,000 students as homes are built in the surrounding Pacific Highlands Ranch neighborhood. PTMS will open with just 7th grade students. The school will reach its preliminary capacity in fall 2016 with classes of both 7th and 8th grade students. The attendance boundary for the school will draw students from Ashley Falls and Sycamore Ridge elementary schools in the Del Mar Union School District and Solana Ranch Elementary School in the Solana Beach School District. There will be interim portables for food service, administration and the Learning Commons. Phase Three will be based on need and will depend on how development in Pacific Highlands Ranch progresses. The third phase is estimated to begin in fall 2018. The bell schedule for PTMS is 8:20 a.m. arrival and 2:50 p.m. dismissal. The bell schedule for CCA is 8:00 a.m. arrival and 3:00 dismissal. According to a PTMS administrator, blockades will be put up at the east gate of CCA’s Admin lot on Village Center Loop to allow only middle school traffic. But you don’t have to let back-to-school shopping blow your budget. From office essentials to trendy clothes, we’ve handpicked the best school supply sales you should shop before the new school year begins. Amazon is a one-stop school supply shop. The retailer has discounted pretty much everything parents could possibly need to purchase for the start of the new academic year. Plus, through September, Amazon will roll out a series of limited-time deals on back-to-school products. Featured items include electronics and clothing as well as snacks and beverages. Visit Amazon’s back-to-school section, and check the ending date of a specific sale to see how long it lasts. For a limited time, office supply store Staples promises to get students 100 percent ready for the start of school. Now through Sept. 19, Staples will match the price of a competitor’s item, and then offer an additional 10 percent off the price difference. Present proof of the competitor’s price in store. Add a little character to your back-to-school supplies with Disney-themed products from the Disney Store. The retailer aims to help students go “back to cool” with discounted prices on movie- and character-inspired products. Select backpacks, for example, have been reduced to $15 (regularly $22.95). Prices of select lunch totes have dropped to $10 (regularly $14.95). School shopping doesn’t have to only include the essentials. The back-to-school zone includes all the electronic gadgets that a techie student will need to rock the semester in style. And there are some discounts, too. The price of the LG G Watch, for instance, has been slashed by 56 percent. Students can wear this smartwatch for just $99.99 (regularly $229.99). At discount giant Wal-Mart, shopping for school is as easy as searching by grade. The retailer has compiled a list of accessories for students of every age. Visit Wal-Mart’s back-to-school section, and click on the appropriate category: preschool, grades K-2, grades 3-5, grades 6-8, grades 9-12, top college supplies or teaching and classroom supplies. Within each section, shoppers will discover “rollback” discounts on products for the school year. Fifty percent isn’t a great grade in school, but it sure is a great savings opportunity. Overstock has launched a school-themed sale and is inviting shoppers to “make the grade” with discounts up to 50% off on select products. You can find deals on the following: bedding, furniture, storage, kitchen and dining, bath, decor and lighting, laundry and cleaning, electronics, collegiate and more. The new school year just wouldn’t be complete without a new pair of kicks, and now you don’t even have to pick just one pair. Thanks to the back-to-school event at Famous Footwear, students can get both the Chuck Taylor Converse and the Nike running shoes they want. Shoppers can buy one and get a second pair half-off when they purchase one pair of shoes and a second pair of equal or lesser value. Toys R Us isn’t just for toys; you can find back-to-school items there, too. Browse sale products by category, including: lunchbox supplies, school supplies, classroom furniture, teacher supplies and more. Additionally, shoppers who purchase any backpack priced at $12.99 or more can score a free lunch kit (up to a $9.99 value). In some cases, stocking up on classroom essentials is only half the back-to-school shopping battle. For college students, there are dorm room accessories to buy, as well. Customers can price cuts on everything from chairs and air mattresses to desks and laptop trays. Carmel Row’s modern architecture and high-end features. 22 townhomes featuring one floor plan ranging in size from 2,595 to 2,718 square feet. This stunning floor plan will offer 3 bedrooms, an office, and 2.5 baths in the main home as well as a customizable casita above a detached 2-car garage. Del Mar Union and San Dieguito Union school districts. Sales release scheduled for September 2015. One model home will be ready in Oct./Nov. 2015. Move-in for first phase scheduled for December 2015. Interested parties should log onto the ColRich website (http://colrich.com), and join the “interest” list for “Carmel Row.” ColRich will send you the preliminary brochure and put your name on the priority list. The ColRich office is located at 444 West Beech St, Suite 300, San Diego, CA 92101. Call: 858.490.2300 or email customercare@colrich.com. Great Events at the Del Mar Plaza This Weekend! See works created by 20 local fine artists from the Del Mar Art Center. A children’s make-and-take art project will be included. Welcome to this exquisite family home on a peaceful corner lot! Attention to detail is evident in this beautiful Belmont Plan 2 home with 4 bedrooms/3.5 baths and a spacious loft; includes a bed/bath suite and powder room on the first level. First impressions will be memorable with the gorgeous hand-scraped, beveled, and distressed solid hardwood maple floors downstairs and brand new carpeting upstairs. Plantation shutters are featured throughout most of the home. The formal living and dining rooms, as well as the butler’s pantry, flow beautifully. 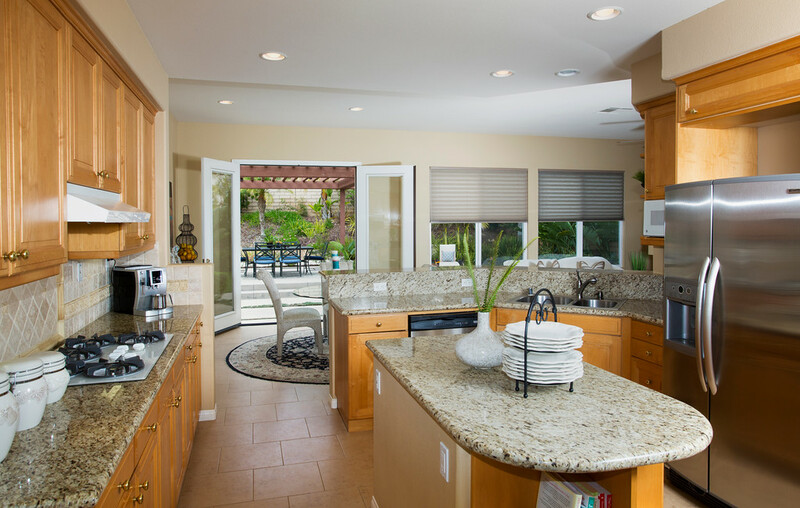 The immaculate kitchen is a chef’s dream with cherry-stained cabinets and stunning granite. Numerous highlights include stainless steel GE Monogram appliances, large center island, inviting breakfast nook, and walk-in pantry. The kitchen’s crowning feature is a custom built-in, 48-inch GE Monogram, stainless steel refrigerator. The elegant master suite boasts a master bathroom with dual vanities and two large closets with extra storage. Escape into the lush, entertainer’s backyard with beautiful pergolas and mature trees for lovely shade and privacy, outdoor fireplace, built-in barbecue unit, and much more! The three-car garage has abundant floor-to-ceiling storage and a multipurpose workbench. The seller has recently installed new multi-stage, 3- and 4-ton air conditioning units. Walking distance to award-winning Sage Canyon Elementary School. Within the boundaries of Del Mar Union and San Dieguito School Districts. Carmel Country Highlands comprises more than 800 acres, and is perched high on a hill overlooking neighboring horse trails and surrounding open space, just east of I-5 and south of Highway 56 in Carmel Valley. Excellent location, tranquil and quiet; close to shopping and beaches for fine coastal living. Beautifully designed and richly appointed finishes welcome you into this highly desirable Cantamar Plan 3 home in Carmel Valley. A private front courtyard with lovely garden and inviting entrance greet you. The custom-designed double door entry, with scrolled wrought iron on frosted glass, leads to a soaring foyer entrance with quarter-sawn white oak flooring in an open floor plan. 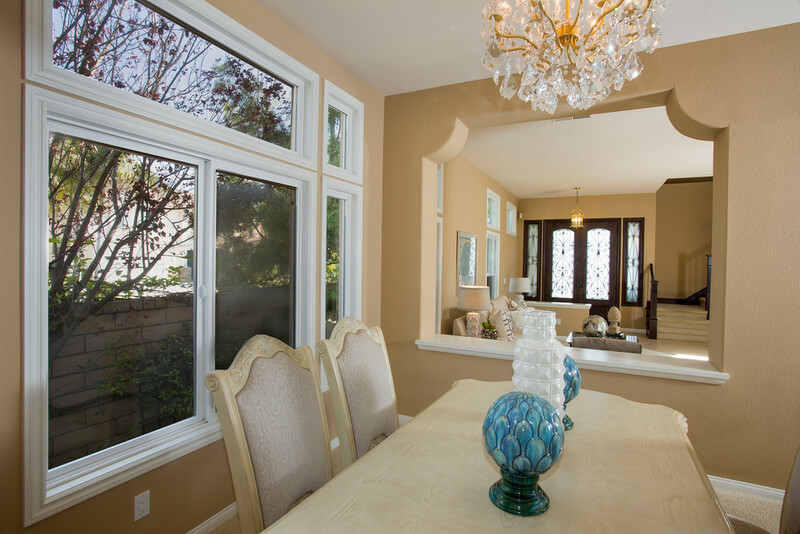 The cabinets and millwork throughout the house are completely custom by one of Southern California’s premier cabinet and millwork companies. The chef’s dream kitchen is remodeled to perfection featuring fully customized cherry wood cabinets and high-end, Dacor and KitchenAid stainless steel appliances throughout. No detail has been spared including immaculate granite countertops, large custom end-grain, butcher-block island, sunlit breakfast nook, and roomy pantry with hidden storage space. The kitchen leads to the family room with a beautiful fireplace for cozy family evenings at home. Entertain in elegant style in the stunning dining room showcased by intricately carved, stacked crown molding on the recessed ceiling and custom woodwork on the walls. The bedroom downstairs includes a full bath, and is currently being used as an office. A large loft for a study, play or entertainment space introduces the second level. Feel like royalty in the master bedroom retreat featuring a magnificently upgraded fireplace and view of the backyard. The regal ambiance carries into the master bathroom with gorgeous tumbled travertine flooring, dual sinks with mahogany cabinetry, and honed travertine countertops. Indulge in the luxury of a soaking tub, step in shower, and large walk-in closet with floor-to-ceiling, custom organizers. The 3-car garage is an important and unique aspect of this home with race-deck flooring and abundant floor-to-ceiling storage. Year-round entertainment is effortless in the comfortable, private backyard with mature trees, outdoor fireplace and barbecue, and a children’s playhouse. 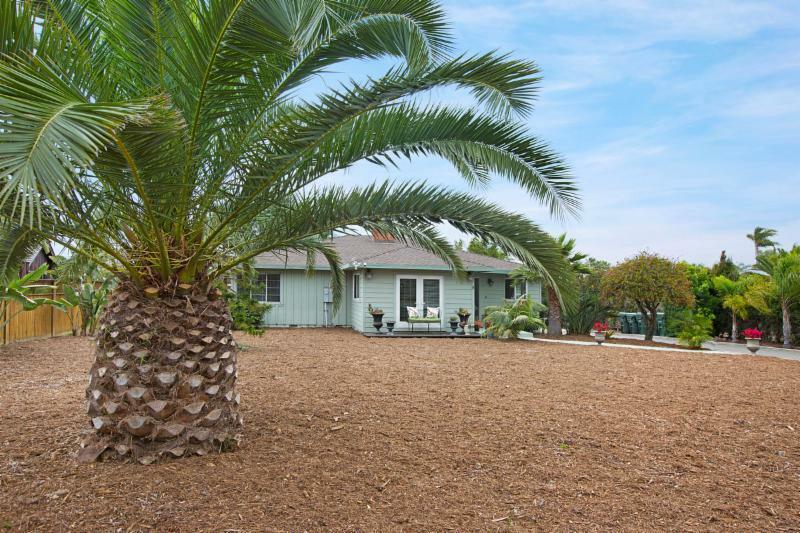 This home is located in the boundaries of the award winning Solana Beach and San Dieguito School Districts. It is minutes from parks, shopping, entertainment, and beaches, and walking distance to the Bay Club Carmel Valley. Welcome to perfect coastal living! 2-Mile Fun Run & Bike Ride! Saturday, June 13 – General Admission or VIP Winemakers’ Tasting, including souvenir tasting glass with UNLIMITED samplings of award-winning wines from California and Baja California, and admission to the fair. Sunday, June 14 – Professional and amateur dance groups of five or more show their skills in this popular spectator competition. Every Sunday – Experience the rich traditions of the Mexican culture with special performances on the Plaza Stage. Enjoy Mexican artisans, games, contests, and other activities and attractions. NEW in 2015: Fiesta Village with Mexican and Central American entertainment, food and artisan crafts. Look for the June issue of the Pacific Sothebys newspaper insert in these local papers: Coronado Eagle & Journal, Peninsula Beacon, Carmel Valley News, Encinitas Advocate, Beach & Bay Press, The Daily Transcript, Rancho Santa Fe Review, La Jolla Light, Solana Beach Sun, Del Mar Times, Poway News Chieftain, Rancho Bernardo News Journal, and Downtown News. Check out my ad on page 16! Click here to view the insert online. Light and bright townhome with charming outdoor living space. Perfect for entertaining! Open floor plan, remodeled kitchen with stainless steel appliances, beautiful Spanish tile, hardwood, granite, and plenty of storage space. Designer appointments abound! Exceptional Saratoga Plan 2! Countless upgrades featuring an immaculate gourmet kitchen, spacious studio/office, loft, hardwood floors, wrought iron staircase, and custom closets. Included is a private bed/bath on the first level. Ideally situated in the bulb of a quiet cul de sac, the oversized lot is a blank canvas for an entertainer’s outdoor escape. Exquisite family home on peaceful corner lot! 4 bedroom/3.5 bath with spacious loft, and bed/bath on first level. Hand-scraped hardwood maple floors downstairs and brand new carpeting upstairs. Chef’s dream kitchen with upgraded stainless steel GE Monogram appliances, granite, island, large breakfast nook, and walk-in pantry. Elegant master suite with dual vanities, generous closet and storage space. 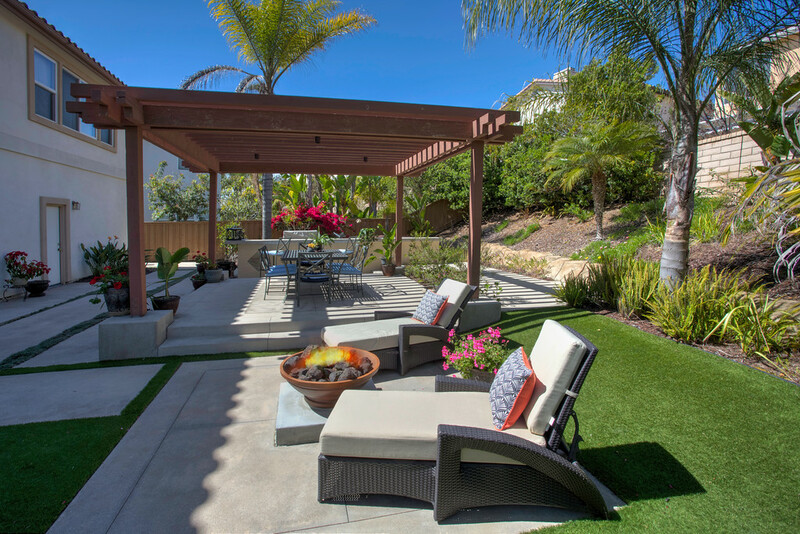 Gorgeous, entertainer’s backyard with pergolas and trees for shade, outdoor fireplace, built-in bbq! Walking distance to Sage Canyon Elementary. OPENED ESCROW in ONE DAY at TOP PRICE! LOCATION & LIFESTYLE await you in this open and bright townhome in Carmel Valley’s highly desirable East Bluff community. Spanish tile flooring on the first level and stairs brings the Spanish-style architecture indoors. Large, light infused living room with designer glass tile fireplace and custom mantle. Custom upgraded kitchen includes stainless steel appliances, granite countertops, new GE Profile refrigerator, and freshly painted cabinets. Immaculate master bedroom features hardwood floors and a spacious bathroom with double sinks, walk-in shower, and two closets for ample storage. Second, en-suite bedroom appointed with hardwood floors, generous closet space, and tub shower. 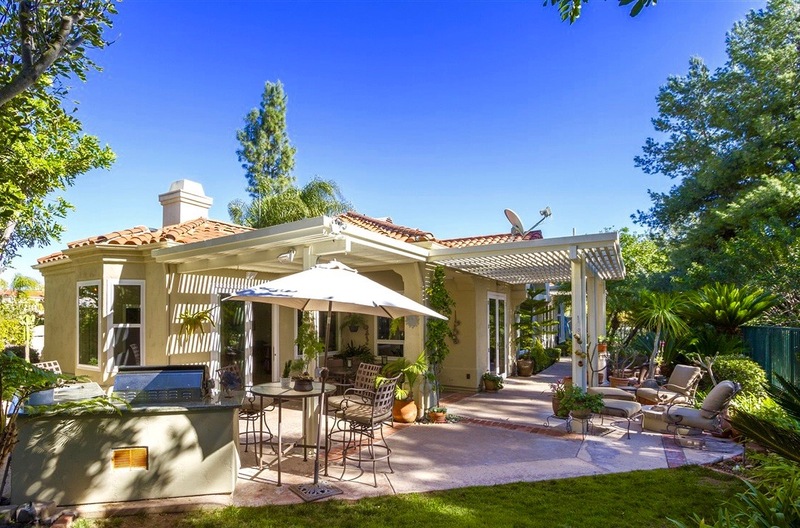 Entertainer’s charming brick patio welcomes guests for a morning coffee or evening BBQ. Lovely fountains in front and back offer further serenity. Two-car garage with storage and laundry facilities. 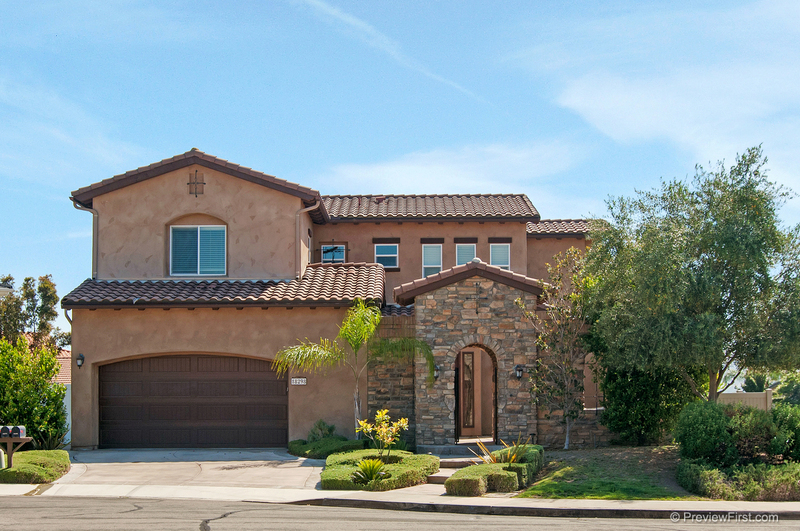 Immaculate, two-story townhome in the heart of San Diego’s Rancho Penasquitos. Fully upgraded kitchen and bathrooms with granite counter tops, custom cabinetry. Kitchen features new stainless steel appliances; bathrooms have travertine floors. Gorgeous bamboo flooring on both levels; new carpeting. Attached one-car garage. Private patio; quiet, end unit. Across from community pool; excellent freeway access. THINKING YOU MIGHT BUY OR SELL IN 2015? Check out the IDX Broker Property Search on my website! Feeding America San Diego accepts non-perishable food in its original, unopened packaging at its collection center at 9455 Waples St, San Diego, CA 92121, Monday through Friday from 9am until 2pm. A tax receipt will be provided during the time of drop-off. Healthy food items are requested. As you are doing your holiday shopping, gather together a bag of groceries and drop it off at the Mira Mesa collection center. Feeding more than 56,000 children, families, and seniors every week, Feeding America San Diego relies on the generous support of individuals, corporations and community groups to sustain our critical hunger-relief and nutrition programs throughout the region. Through its highly organized distribution model, every dollar donated turns into six meals for an individual in need. For more information about giving food or monetary contributions, go to http://feedingamericasd.org/. There are hundreds of San Diegans who have nowhere to go for the holidays. As we serve our communities, help the San Diego Rescue Mission hit the streets and invite everyone to be part of a warm and heartfelt event. You’ll have the opportunity to join more than 150 other volunteers as we reach out and draw an often-unloved group into a circle of love and care. We’ll meet at the San Diego Rescue Mission for a short briefing, then spread out around San Diego to hand out invitations. The entire family is encouraged to be a part of this outreach. Visit San Diego Rescue Mission for more info and to register. 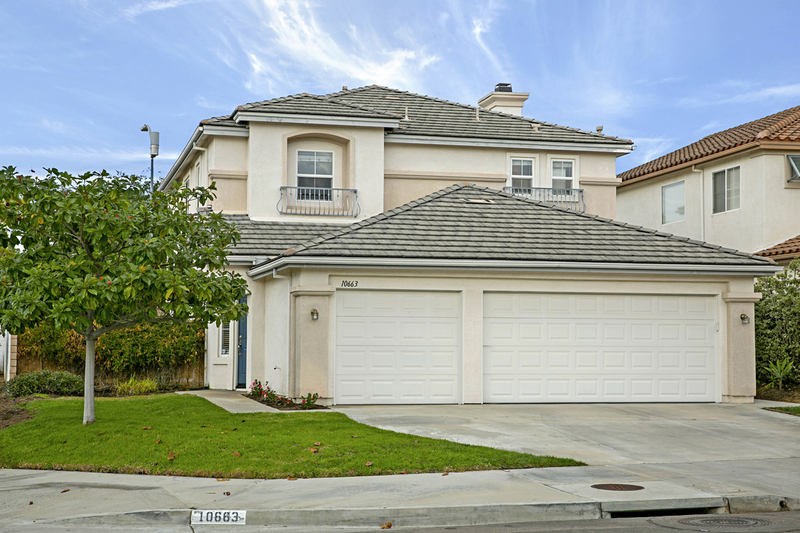 Immaculate, two-story townhome in the heart of San Diego’s Rancho Penasquitos. Fully upgraded kitchen and bathrooms with granite counter tops, custom cabinetry. Kitchen features new stainless steel appliances; bathrooms have travertine floors. Gorgeous bamboo flooring on both levels; new carpeting. Indoor laundry on first level. Spacious bedrooms and closets. Attached one-car garage. Private patio; quiet, end unit. Across from community pool; excellent freeway access. Move-in condition! Wendy Darling loves to tell stories to her brothers, Michael and John, in the nursery they share. When their father declares that it’s time she grow up and move into her own room, the hero of their stories, Peter Pan, comes to whisk the children away to the enchanted world of Never Land. Following Peter and his feisty sidekick Tinker Bell, the children’s fanciful adventure takes them to an island where they meet the rambunctious Lost Boys, swashbuckling pirates, and the infamous Captain Hook! Saturday, October 25 – 8:00 p.m.
Sunday, October 26 – 1:00 p.m. and 4:30 p.m.
Saturday, November 1 – 8:00 p.m.
Sunday, November 2 — 1:00 p.m. and 4:30 p.m.
Saturday, November 8 – 8:00 p.m.
Sunday, November 9 – 1:00 p.m. and 4:30 p.m. The meeting will begin at 9 a.m. in City Council Chambers, 12th floor, City Administration Building, 202 C Street, San Diego, CA 92101. No other agenda item will be scheduled. No further public testimony will be taken — the board will aim to make a recommendation to send to the City Council for the final decision. A recommendation must have the votes of four of the seven planning commissioners, although two have recused themselves due to financial interests in the project. City staff has recommended approval of the project. Film showing starts at 6:00 p.m.